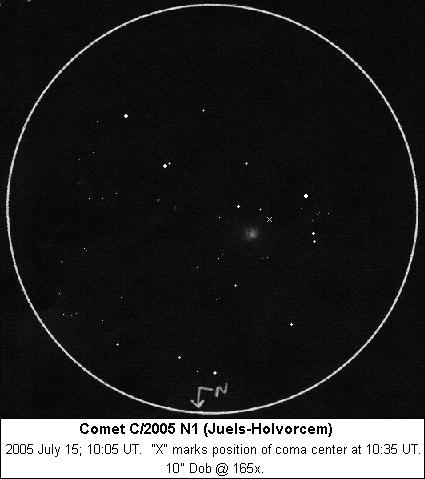 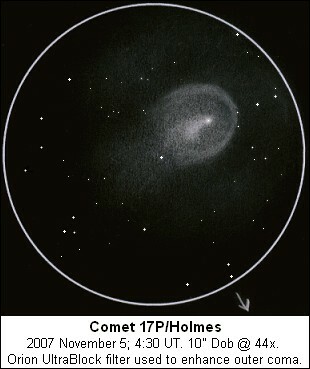 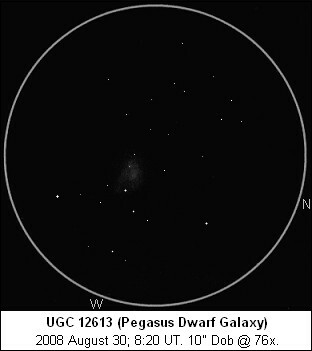 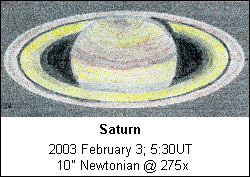 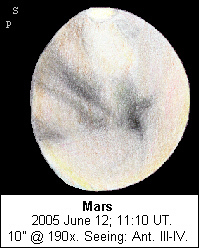 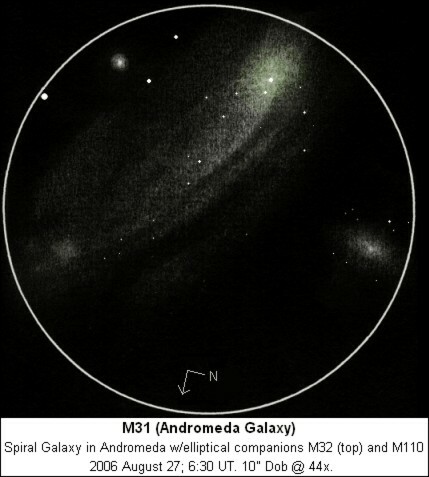 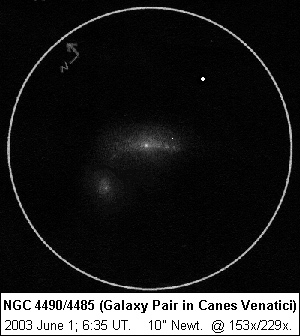 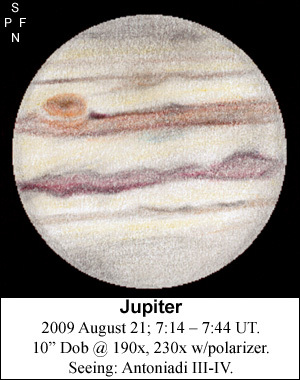 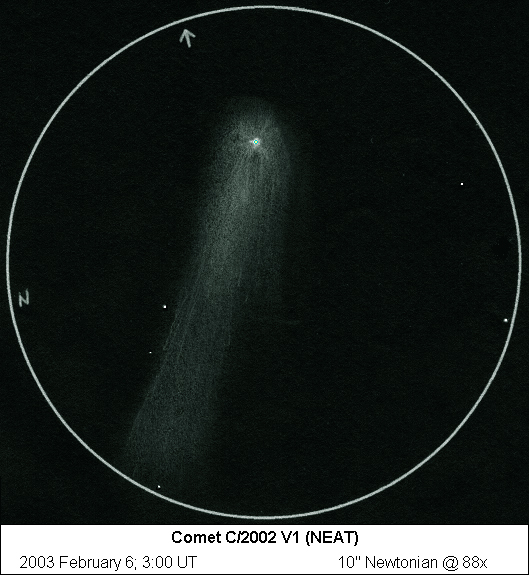 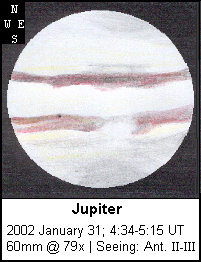 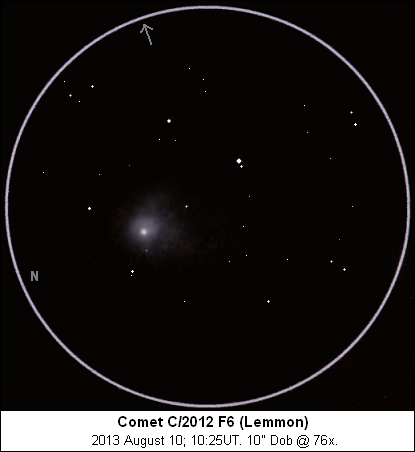 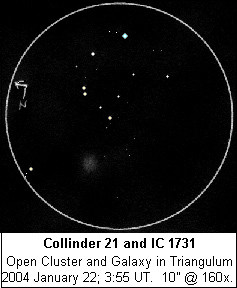 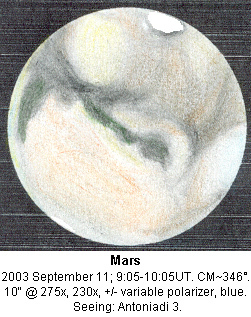 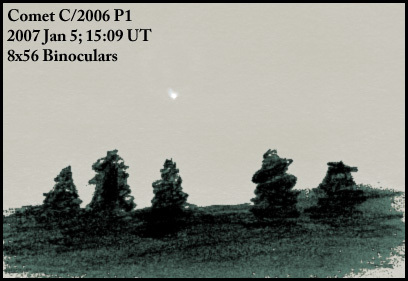 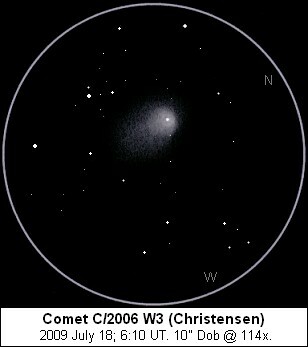 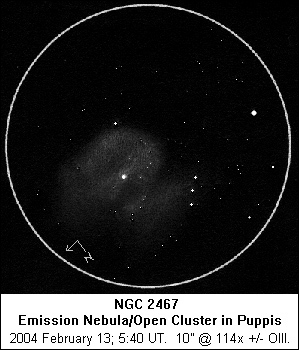 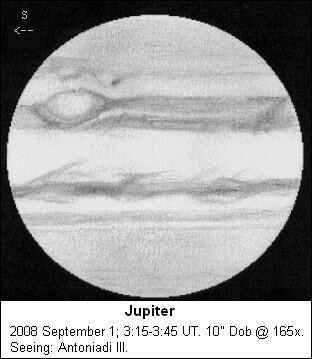 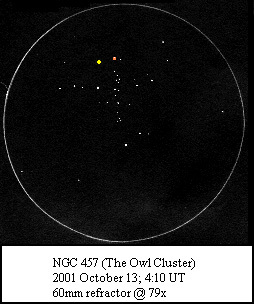 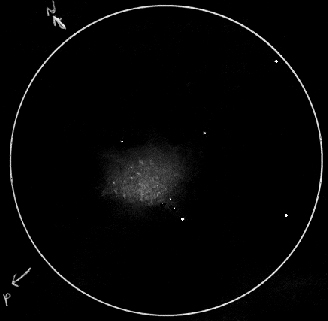 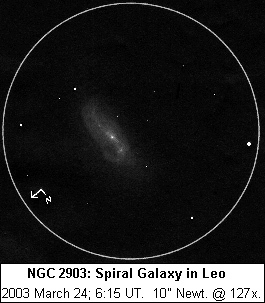 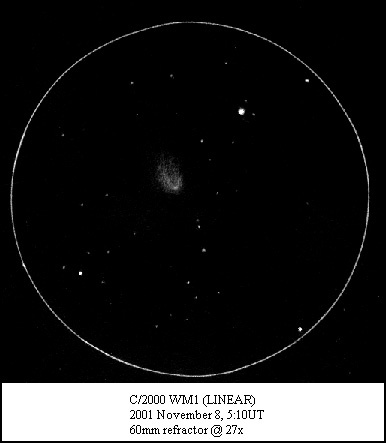 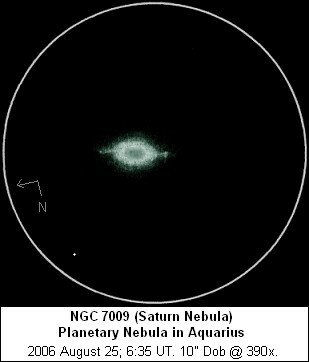 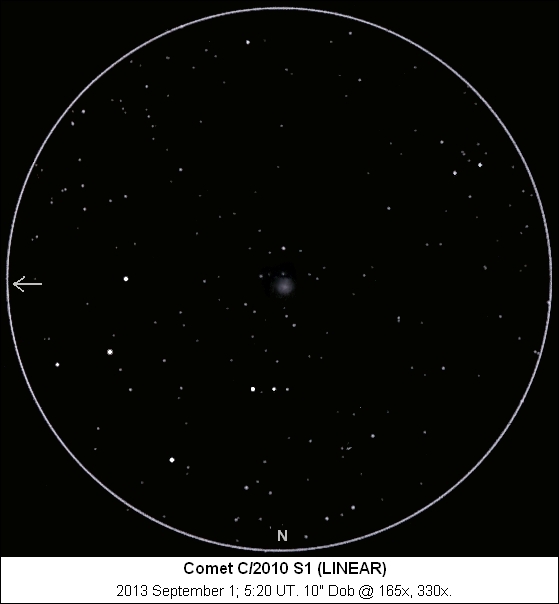 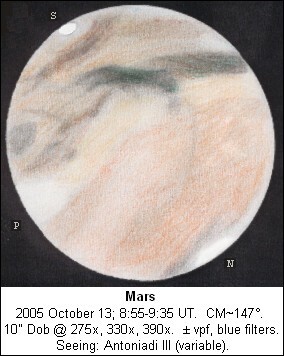 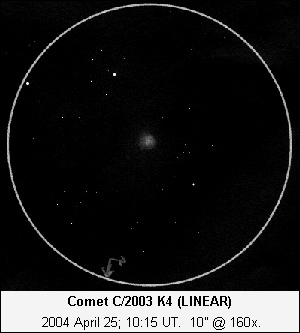 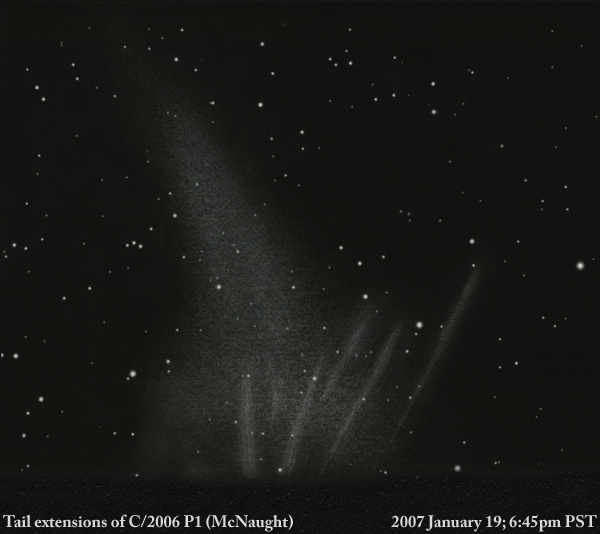 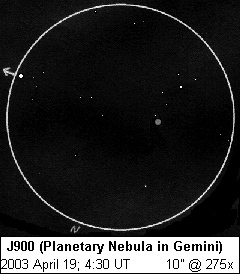 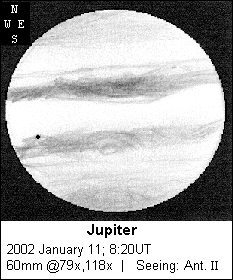 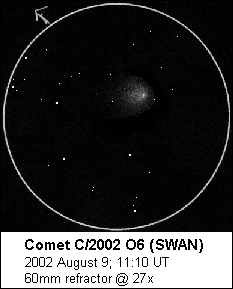 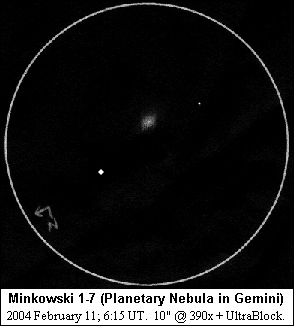 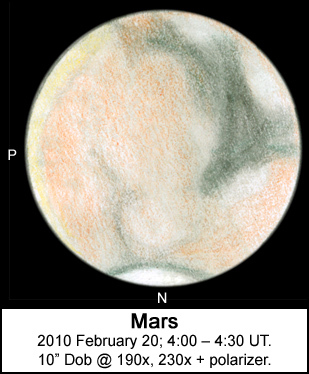 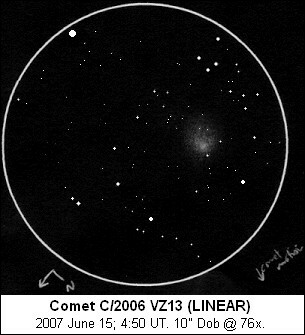 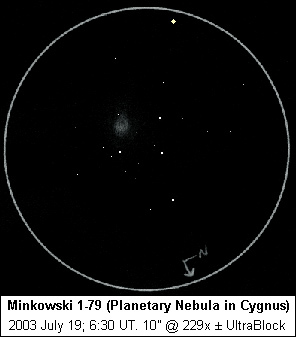 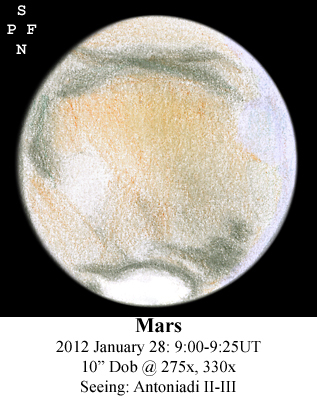 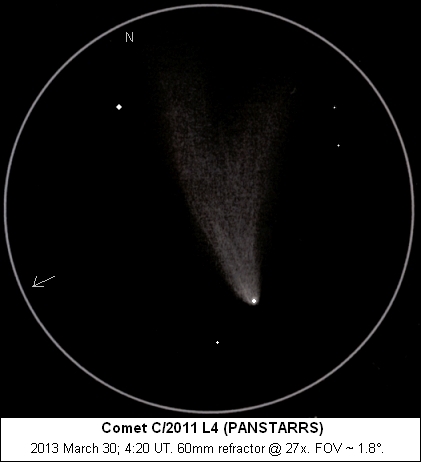 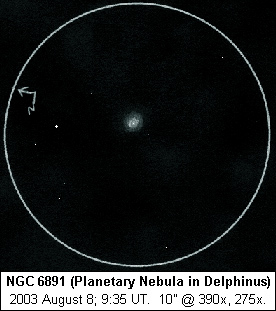 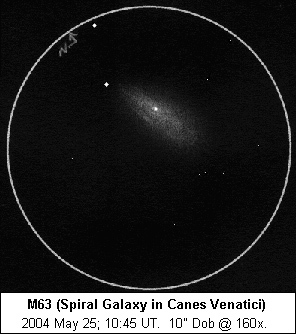 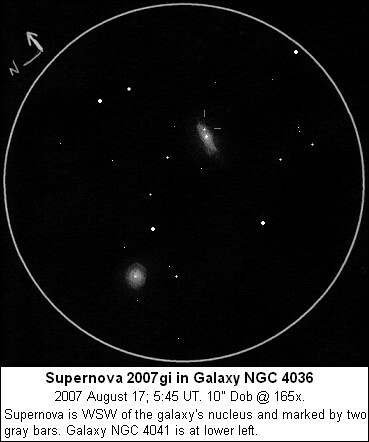 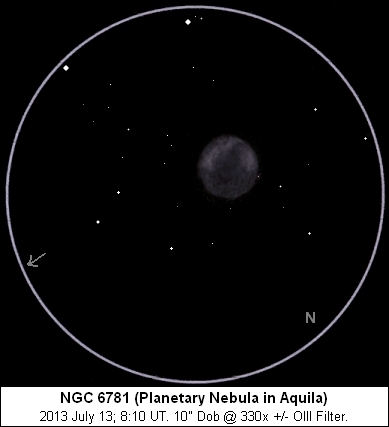 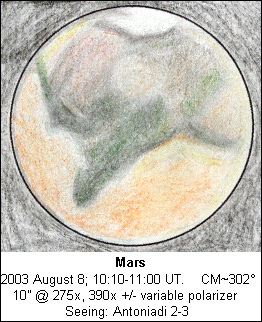 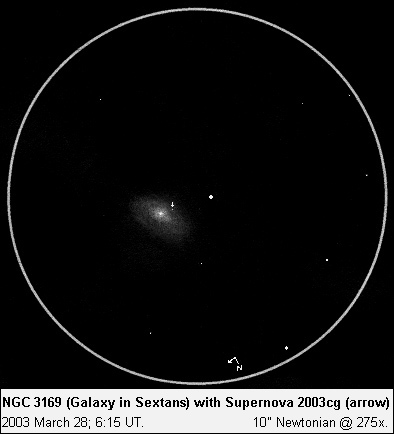 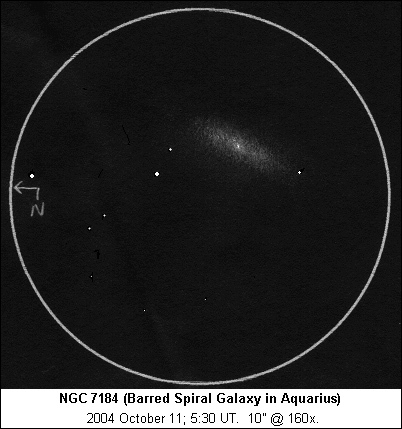 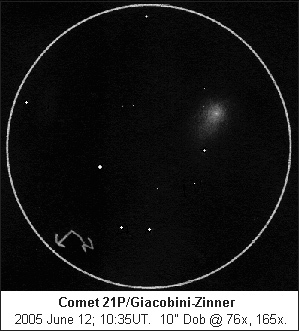 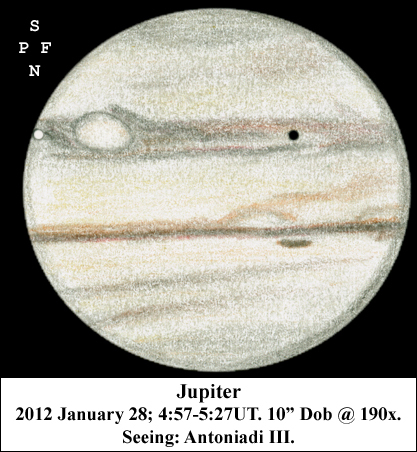 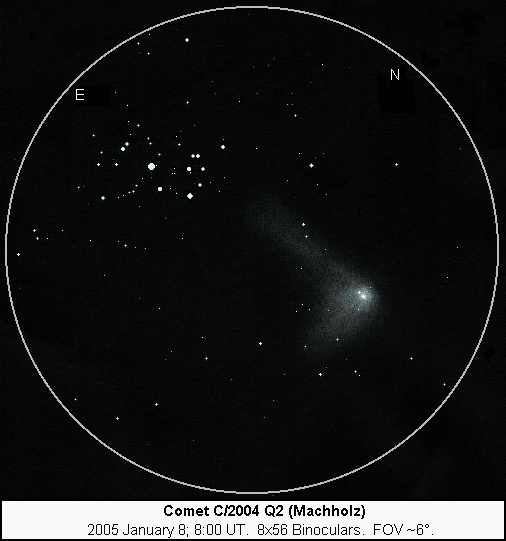 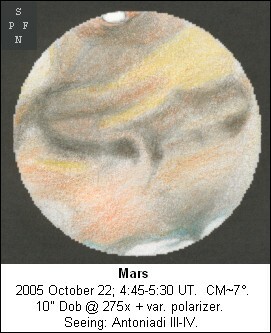 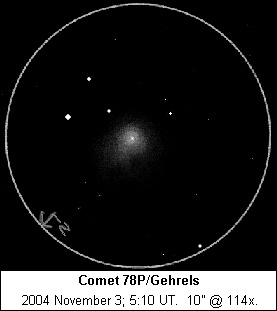 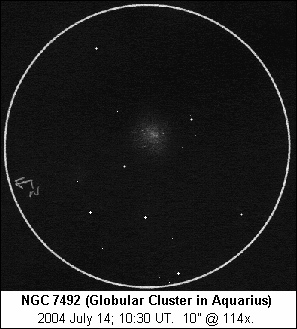 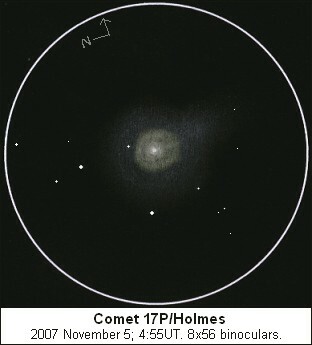 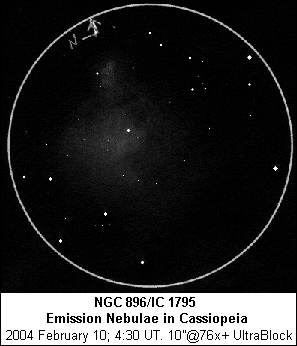 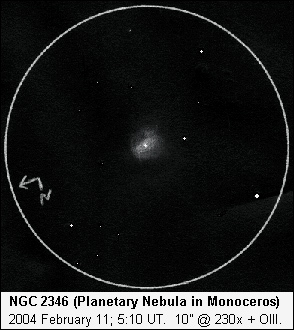 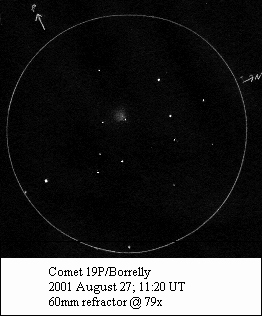 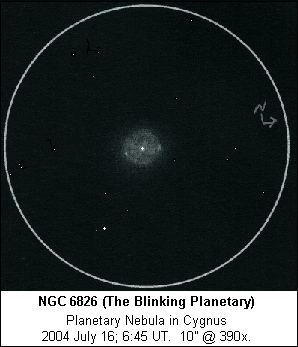 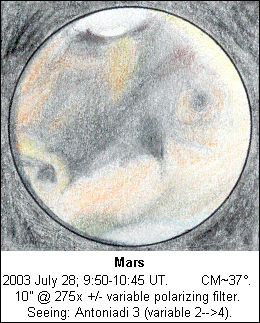 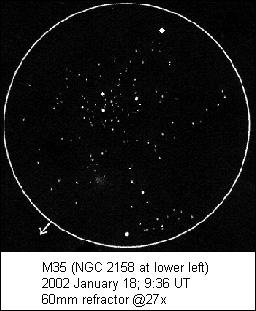 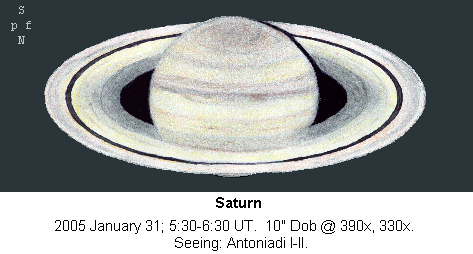 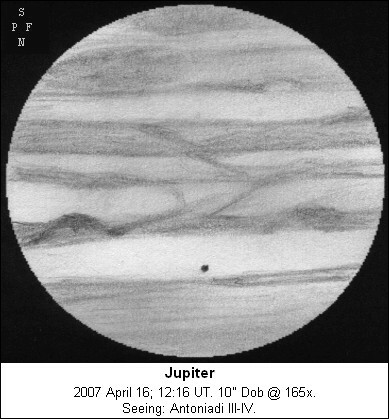 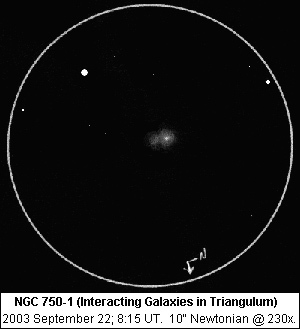 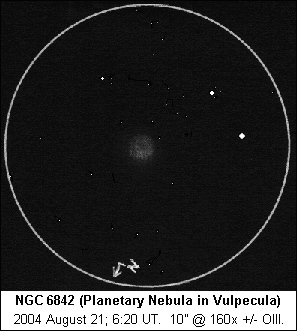 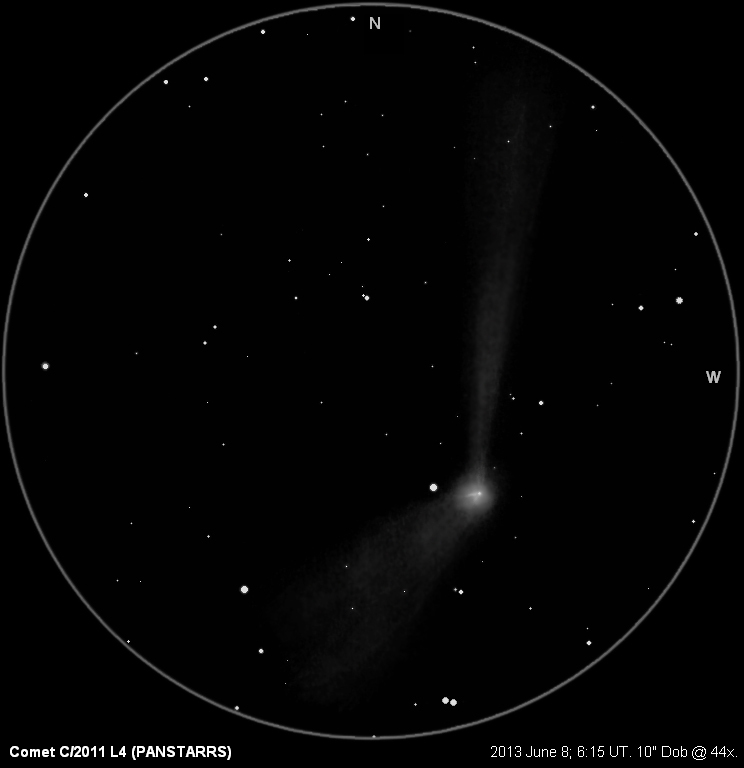 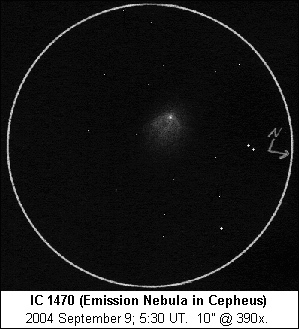 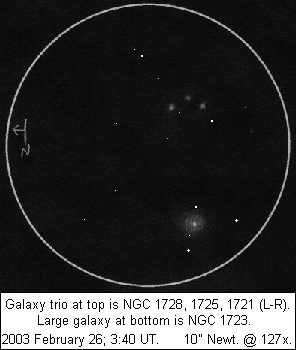 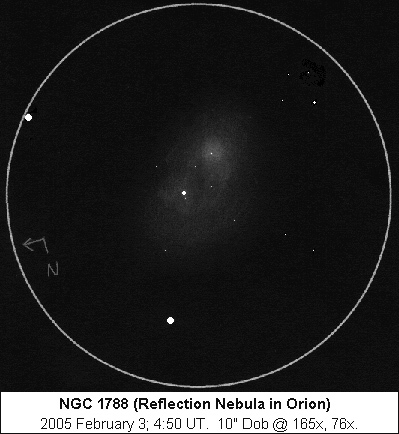 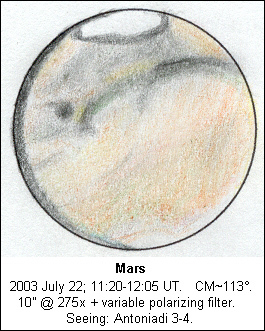 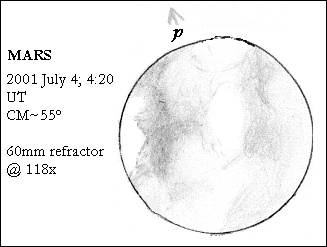 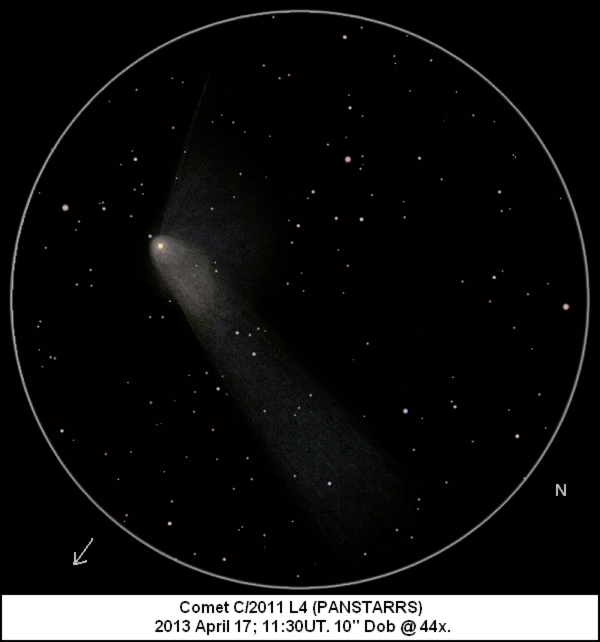 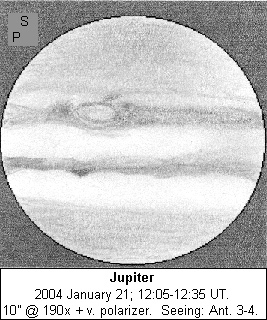 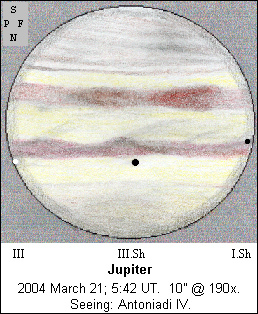 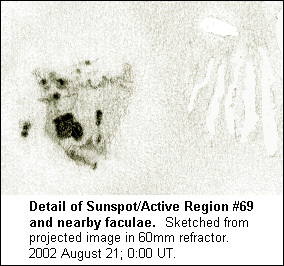 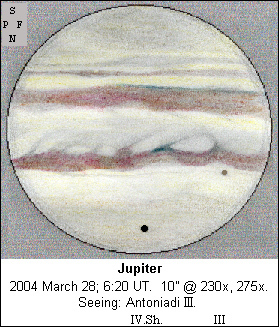 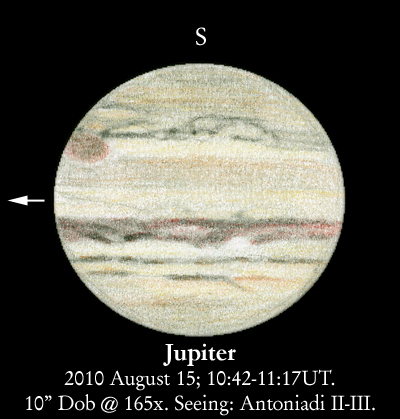 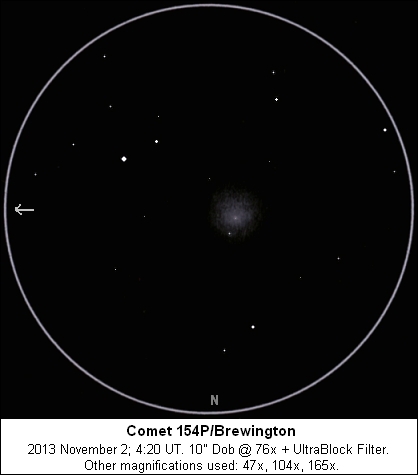 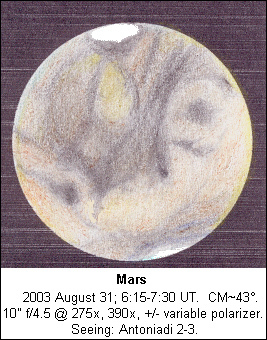 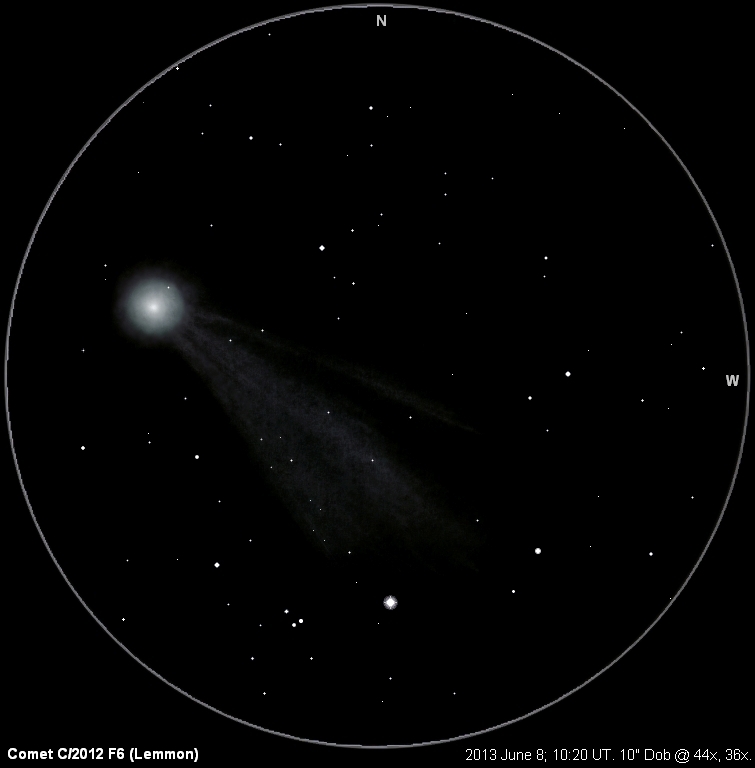 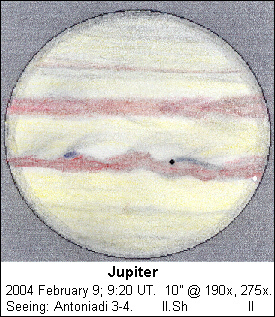 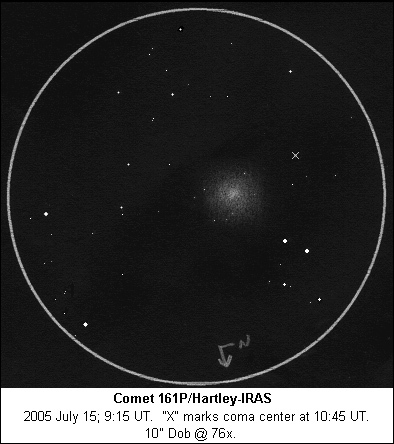 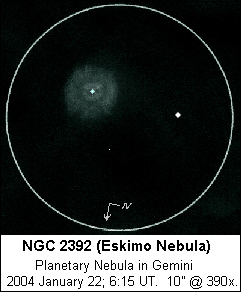 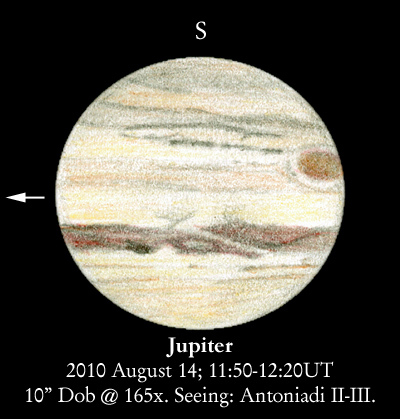 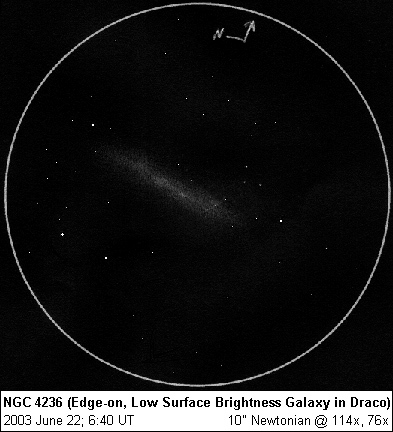 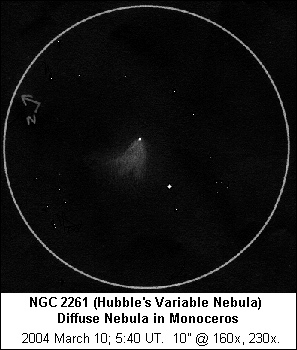 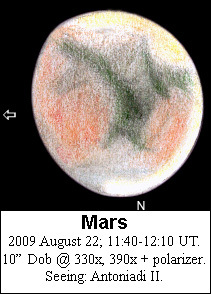 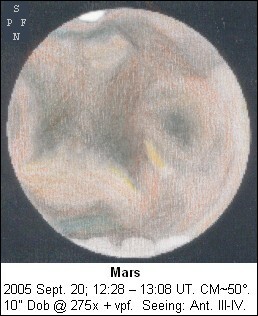 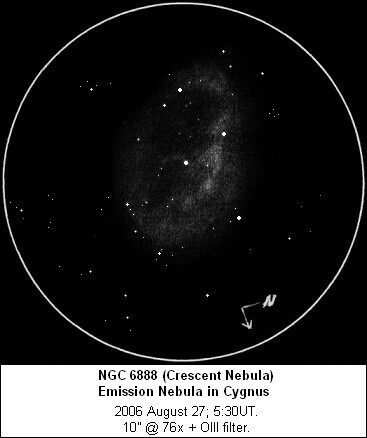 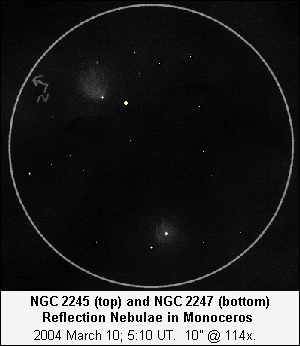 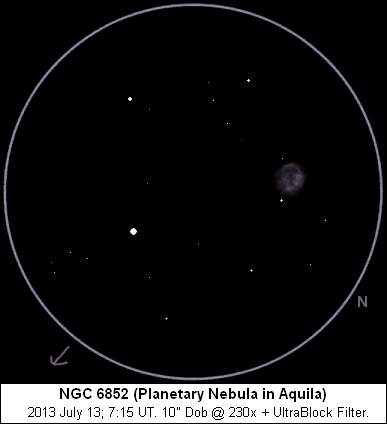 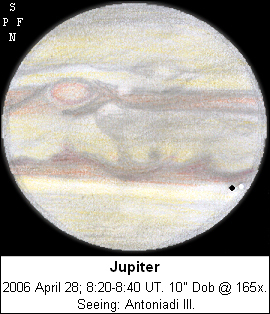 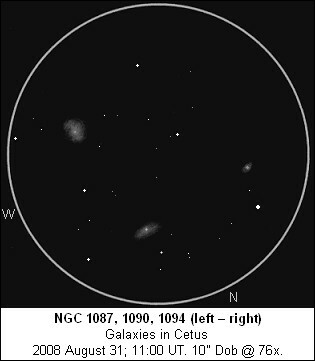 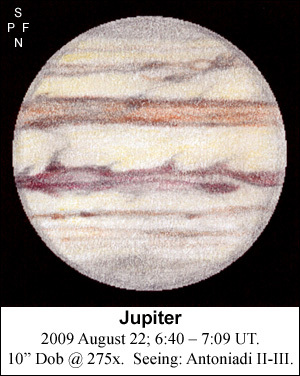 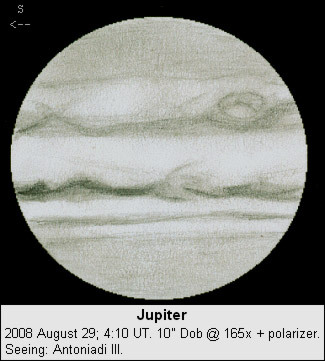 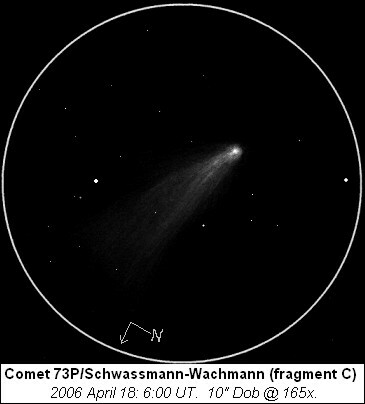 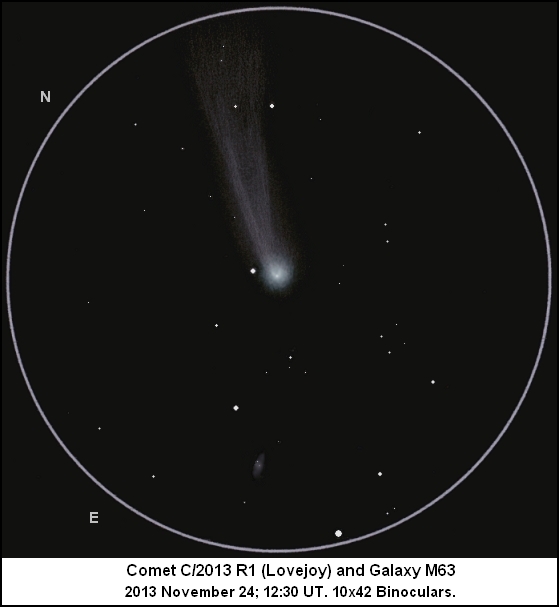 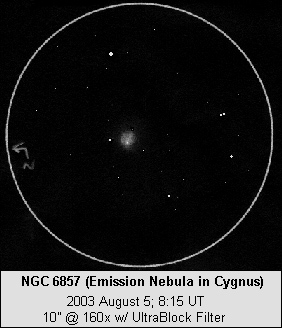 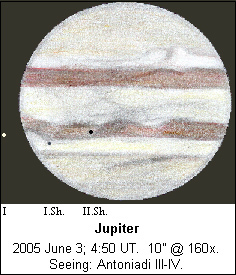 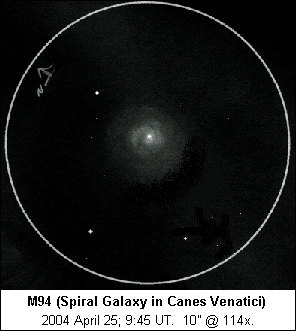 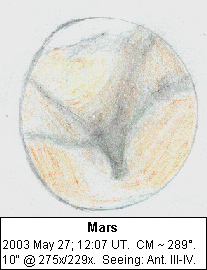 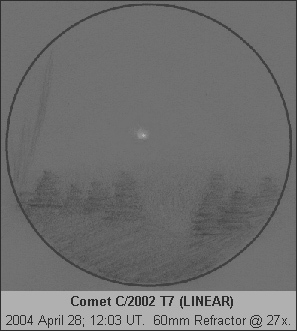 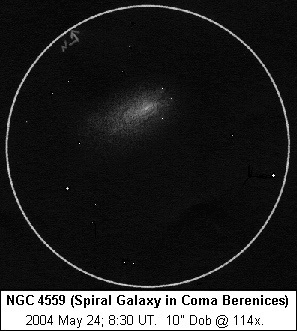 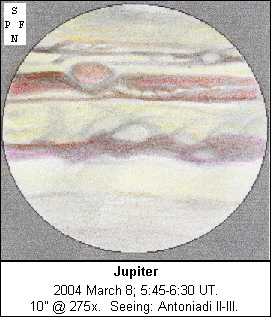 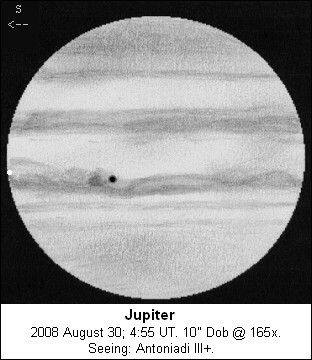 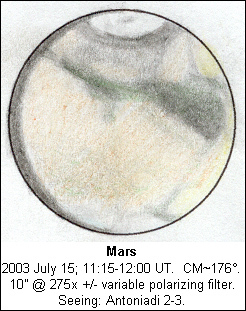 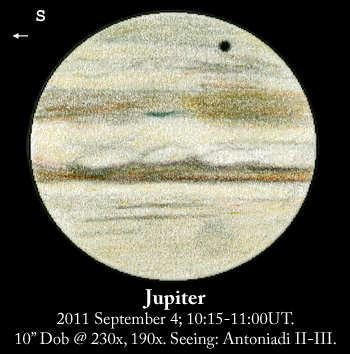 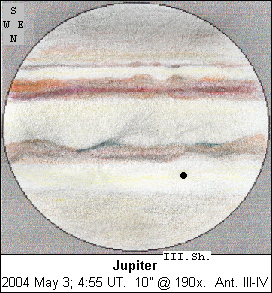 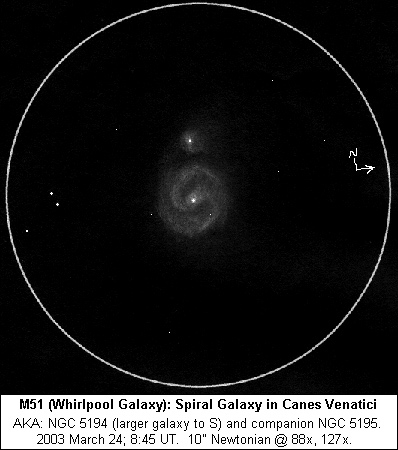 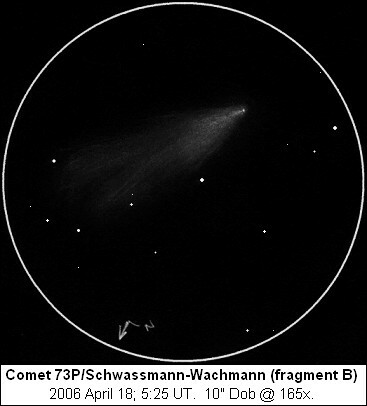 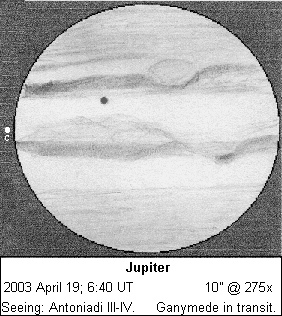 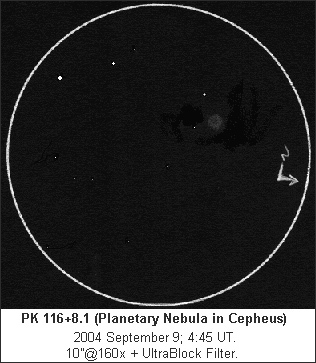 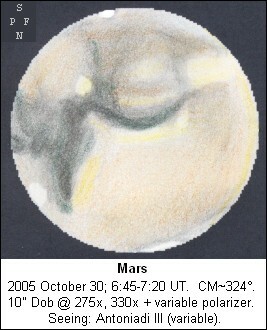 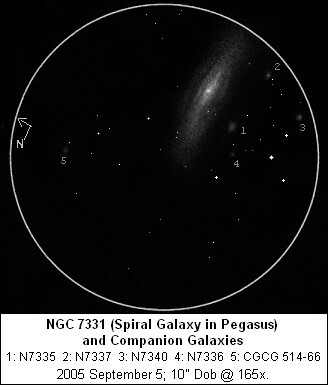 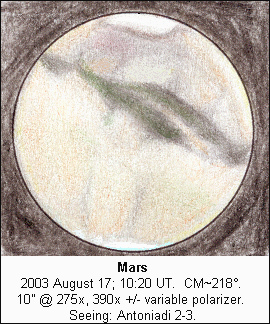 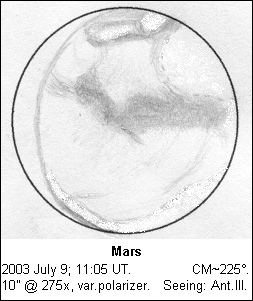 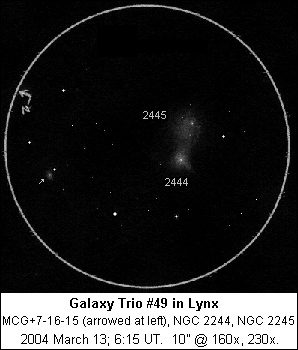 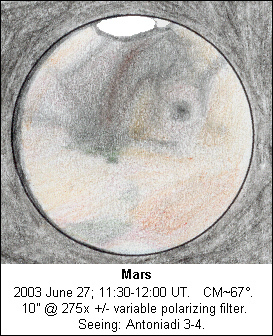 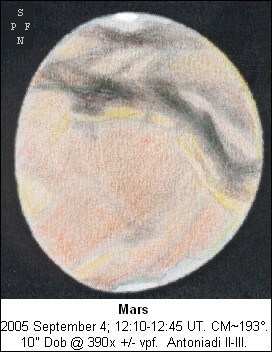 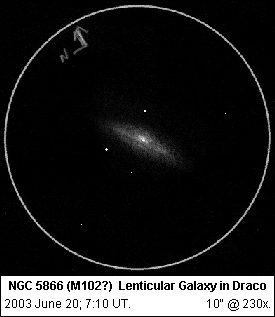 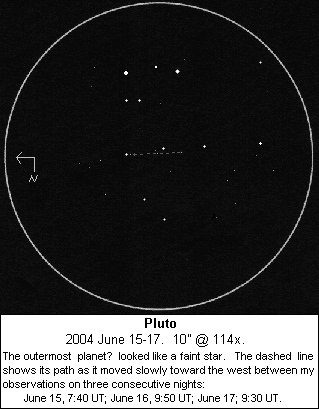 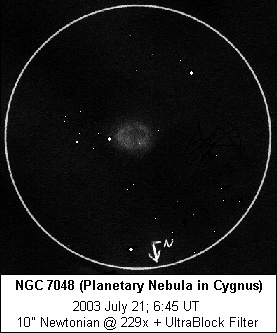 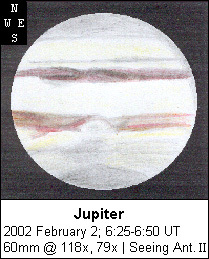 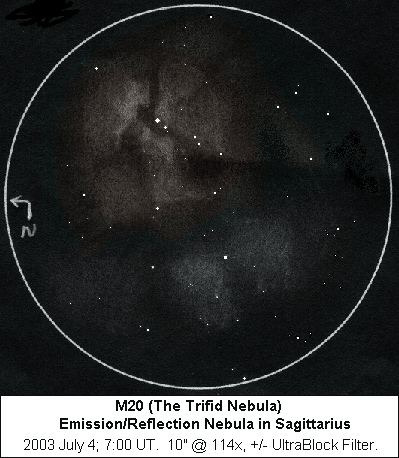 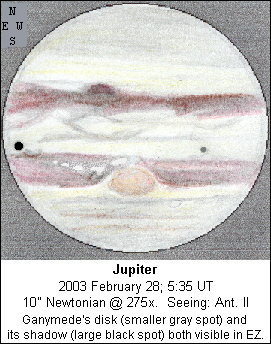 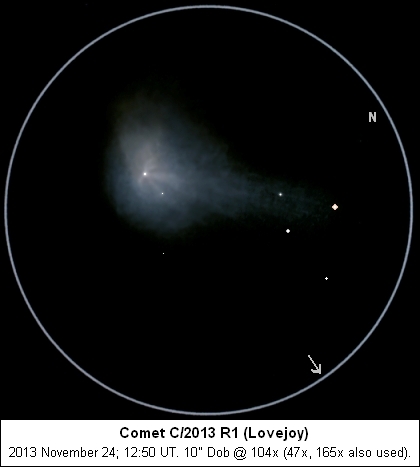 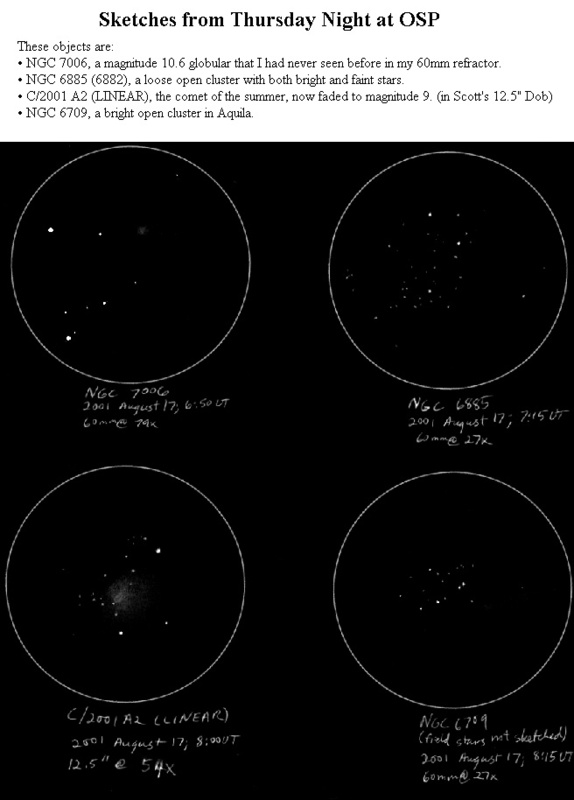 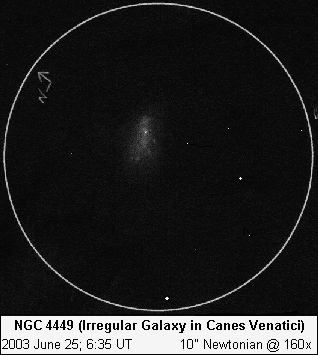 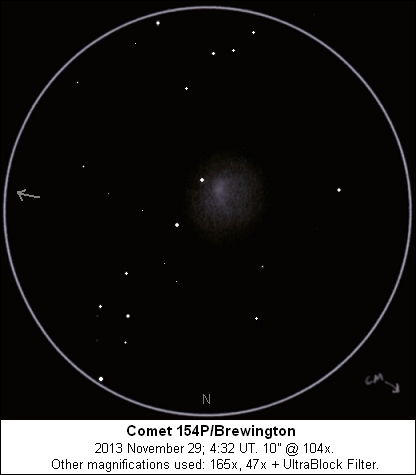 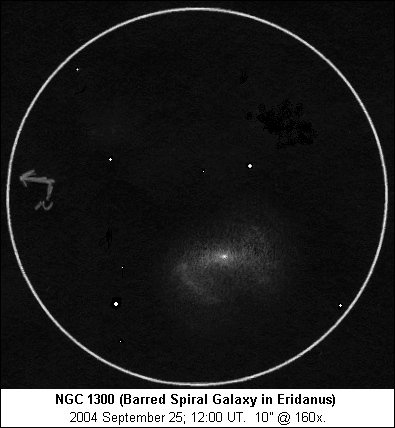 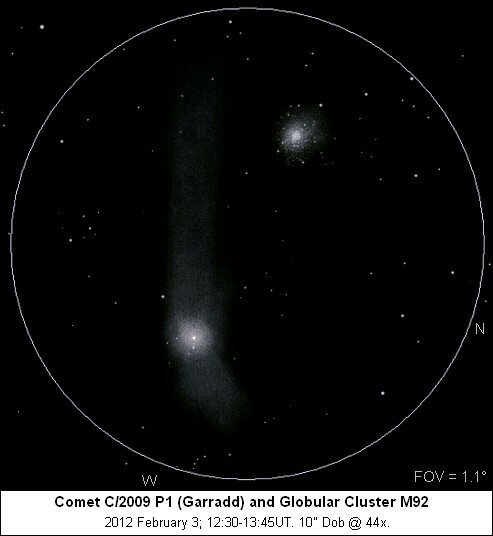 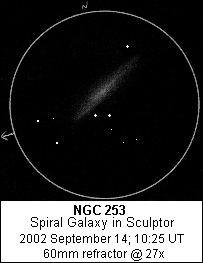 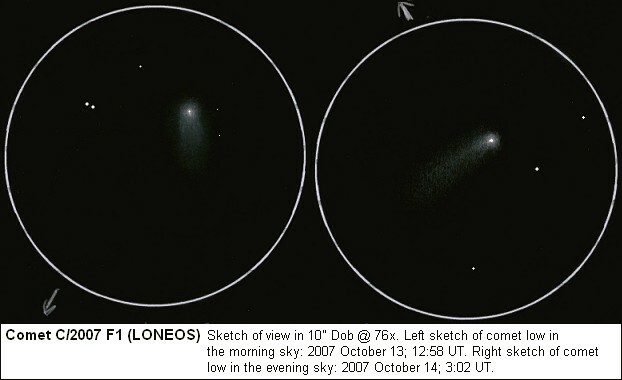 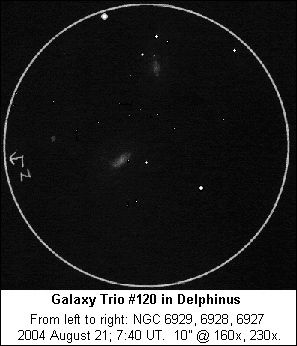 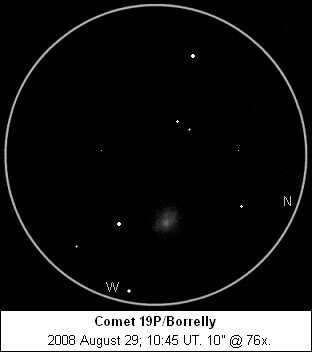 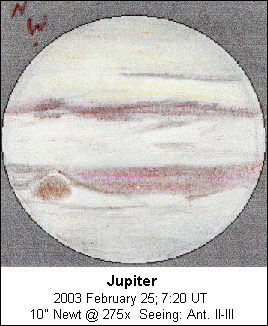 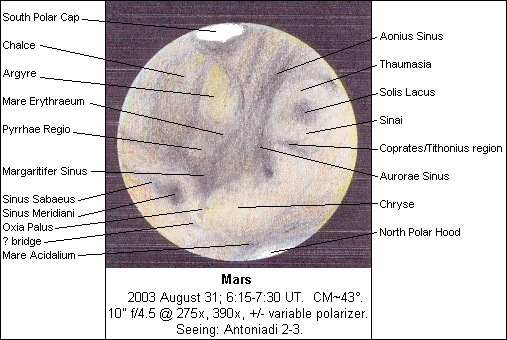 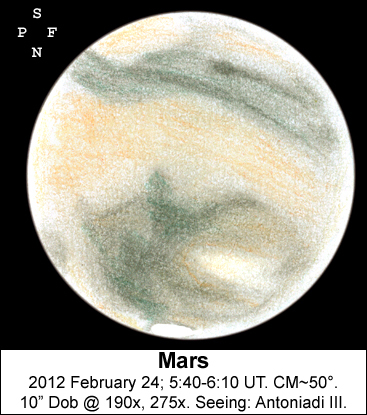 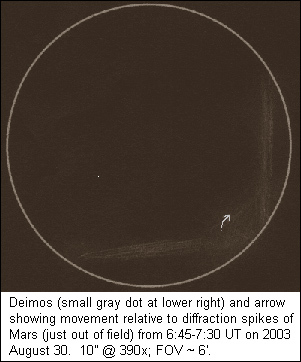 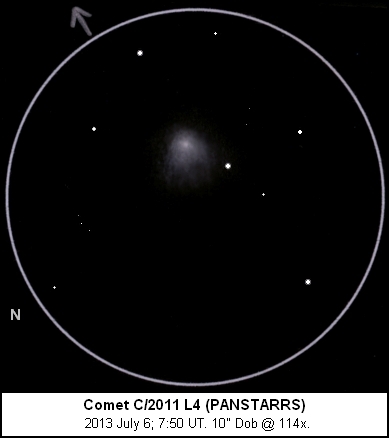 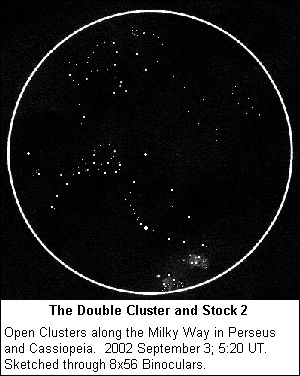 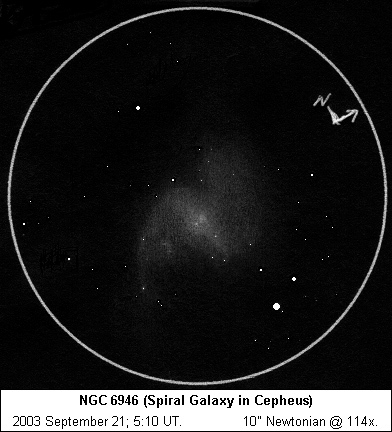 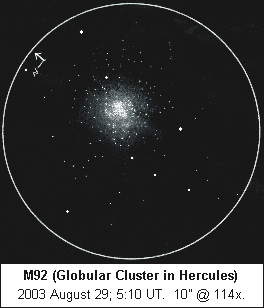 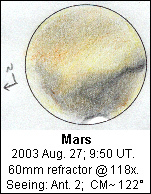 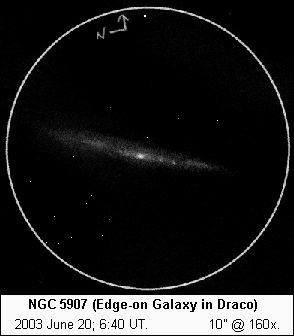 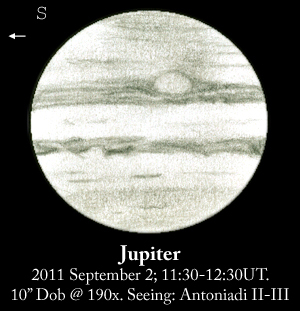 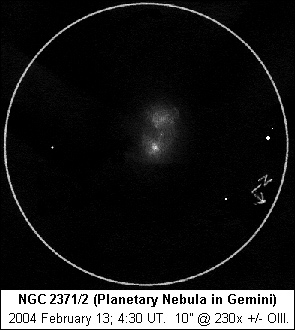 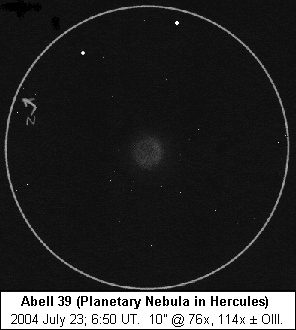 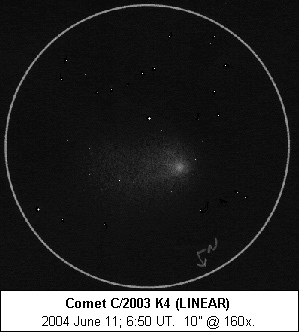 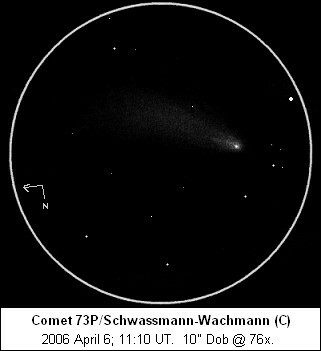 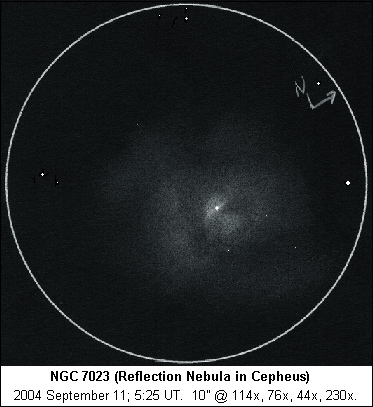 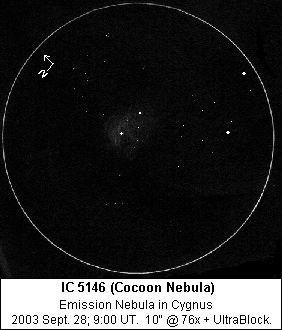 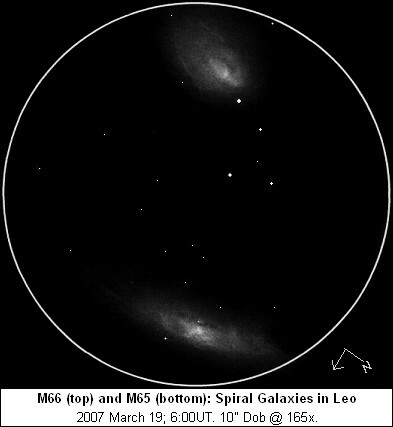 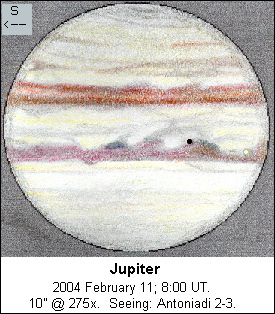 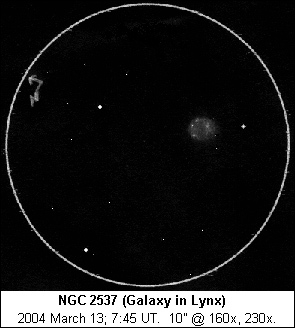 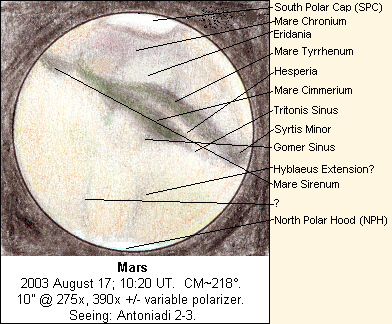 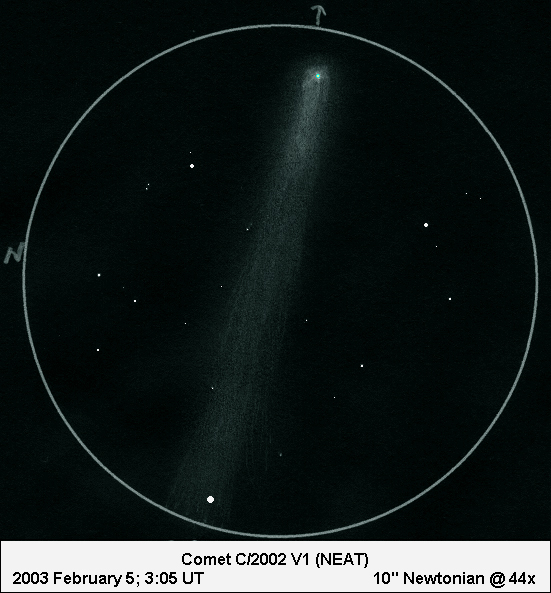 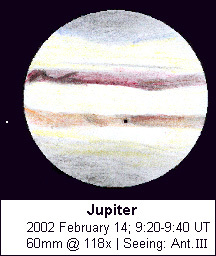 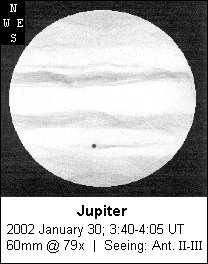 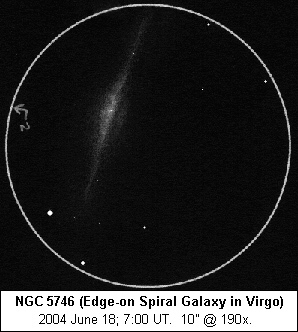 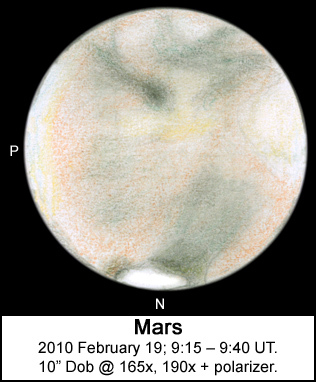 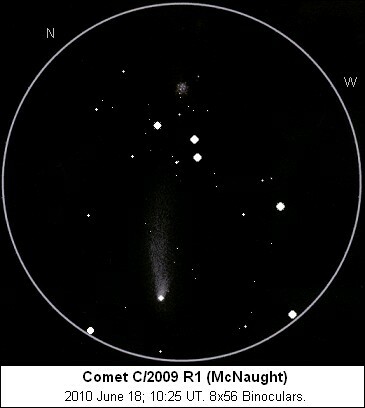 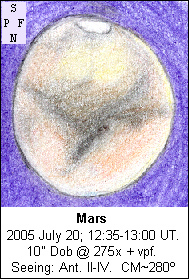 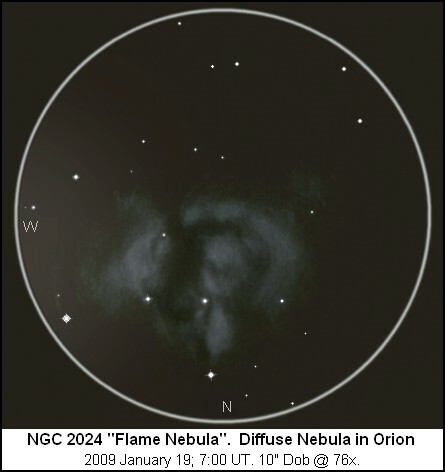 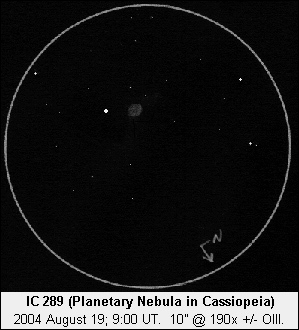 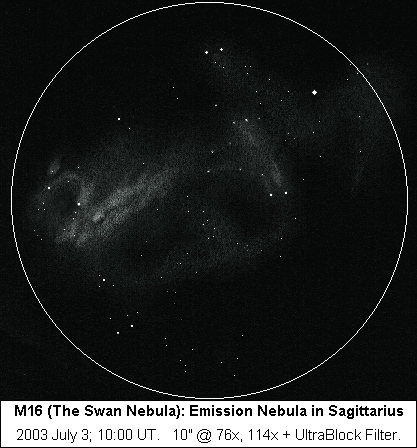 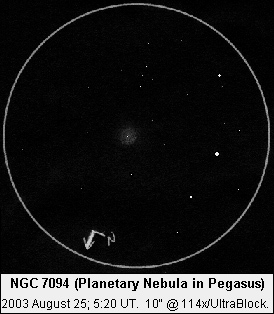 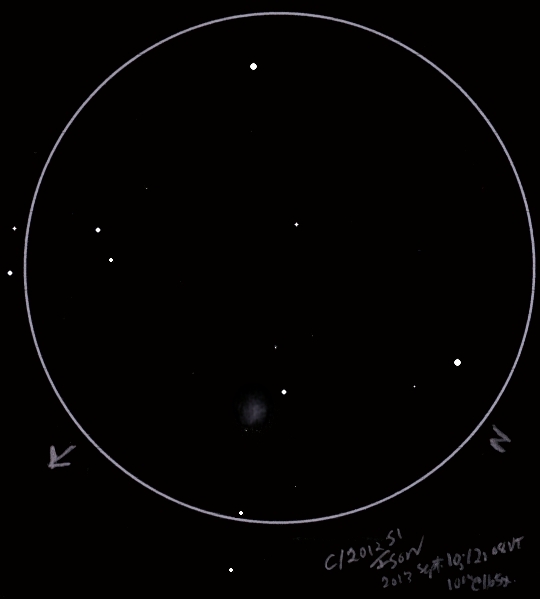 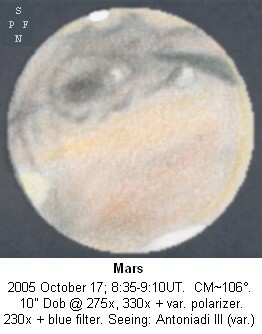 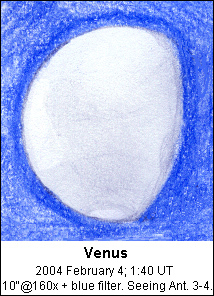 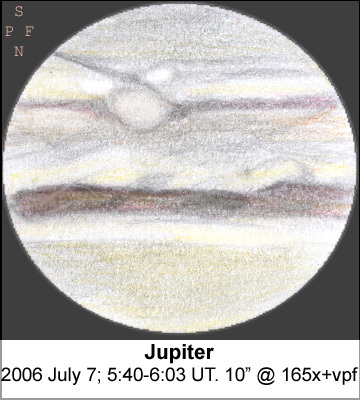 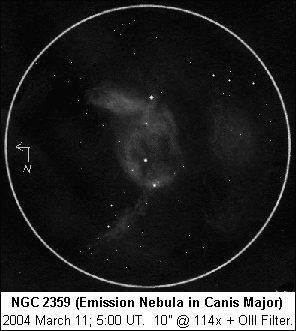 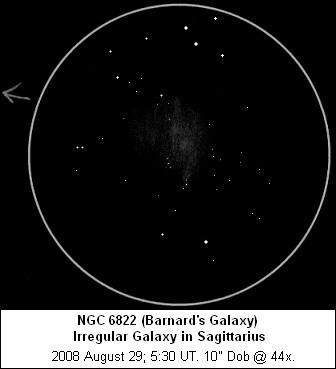 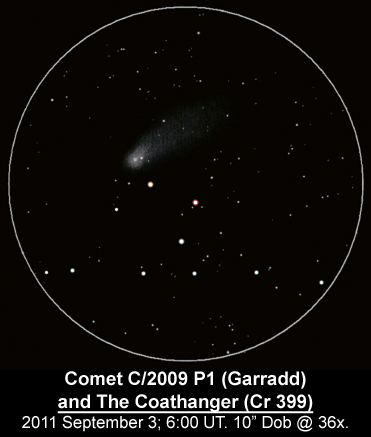 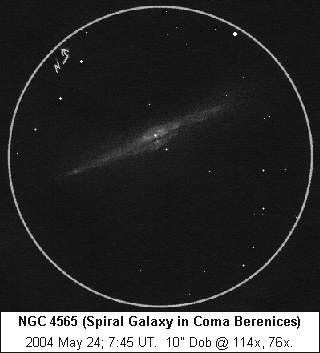 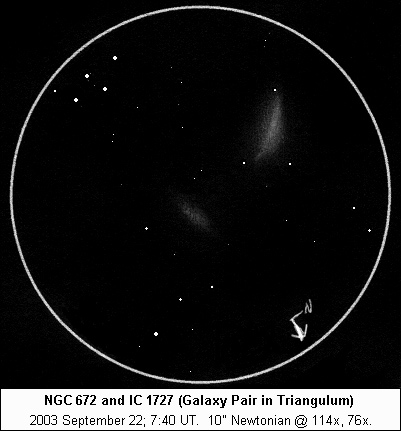 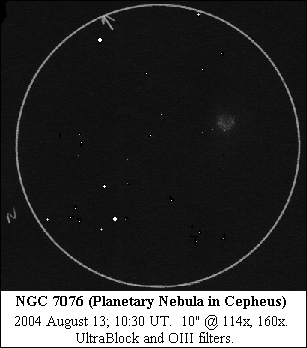 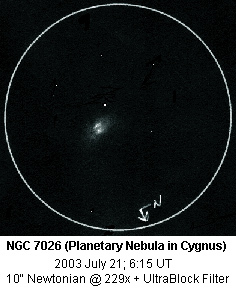 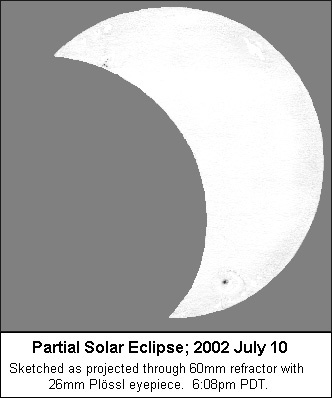 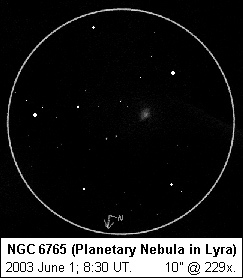 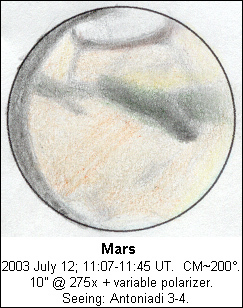 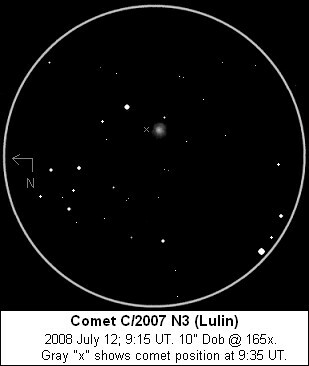 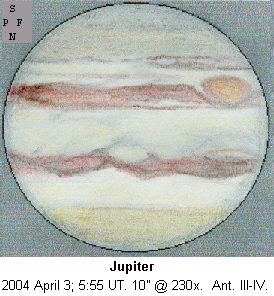 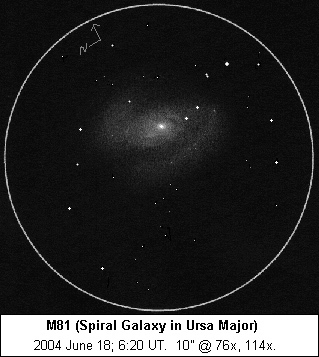 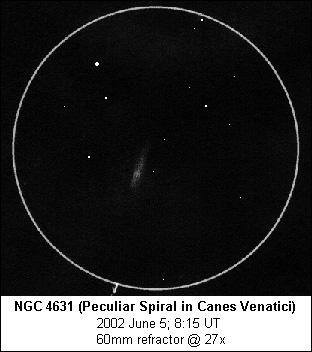 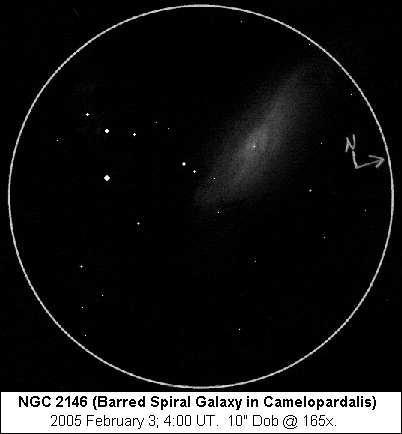 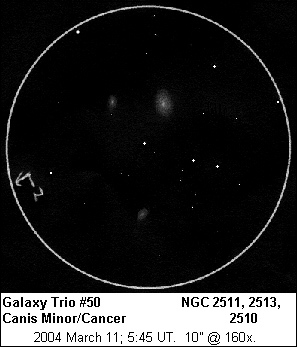 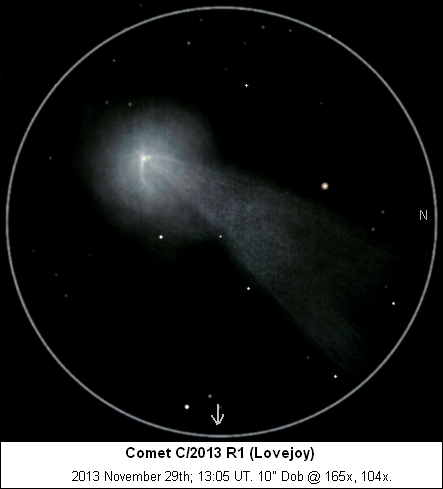 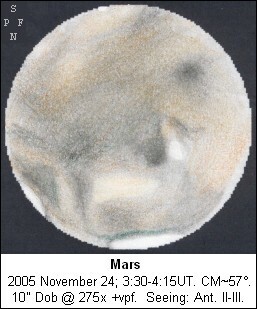 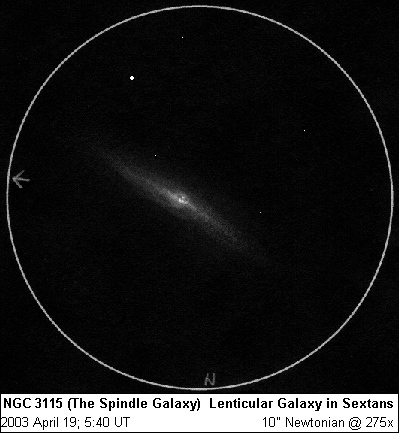 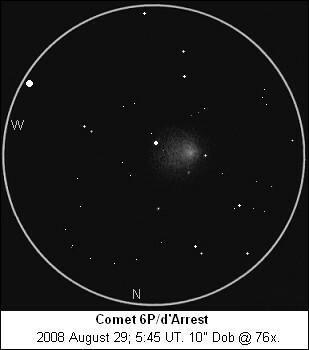 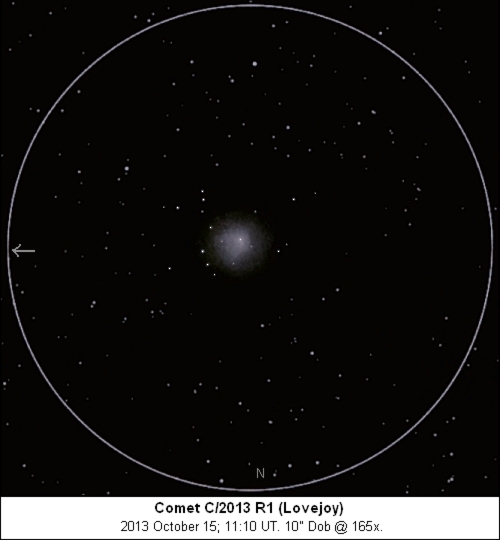 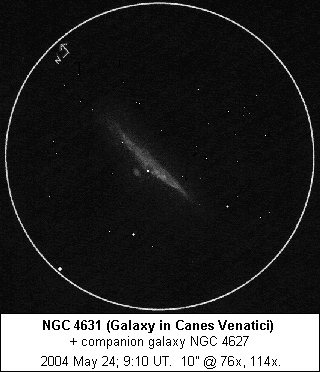 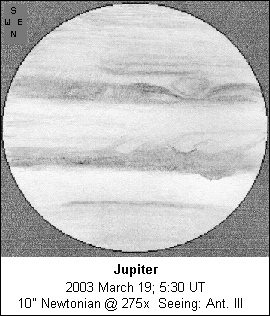 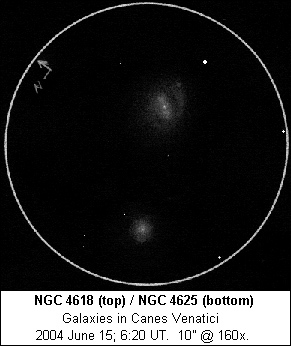 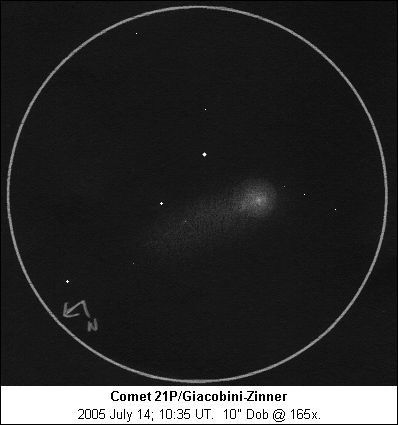 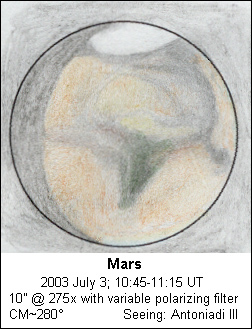 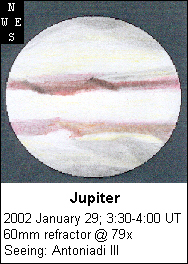 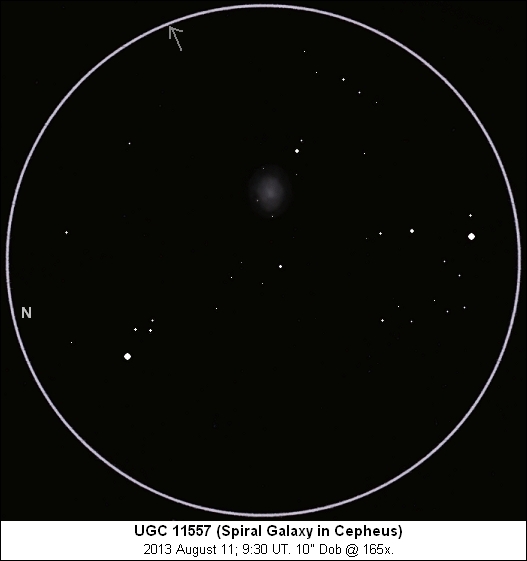 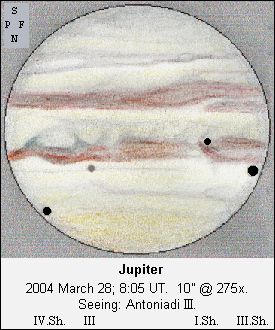 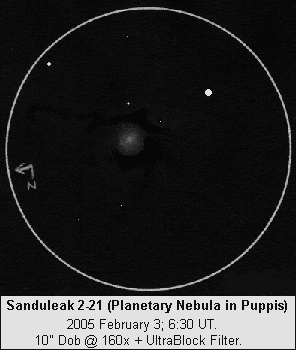 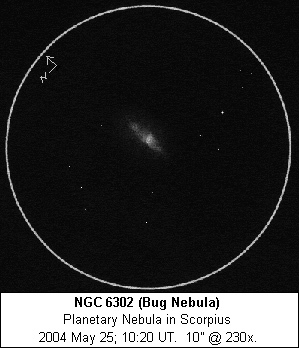 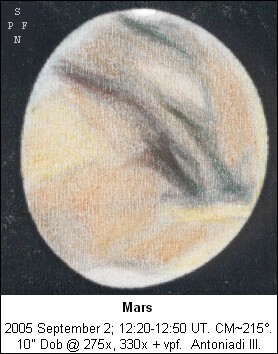 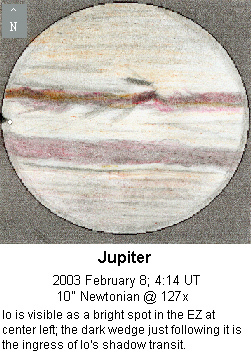 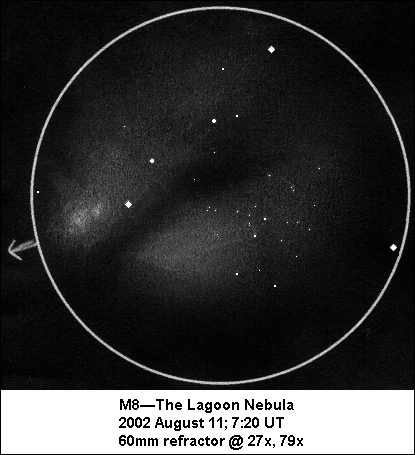 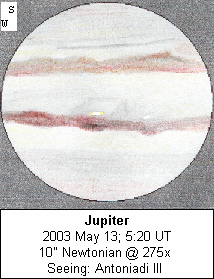 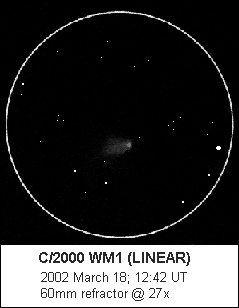 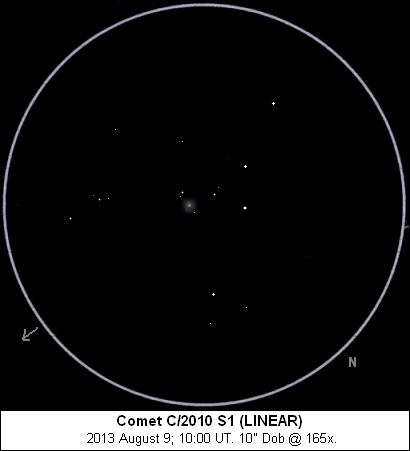 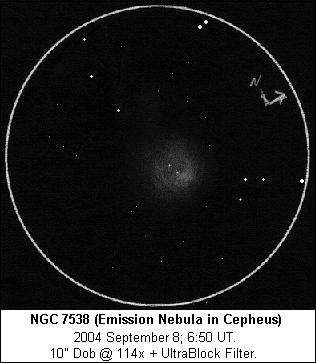 This page contains links to most of the astronomical sketches (along with a few CCD images and digital photos) on my web page, for quick access. 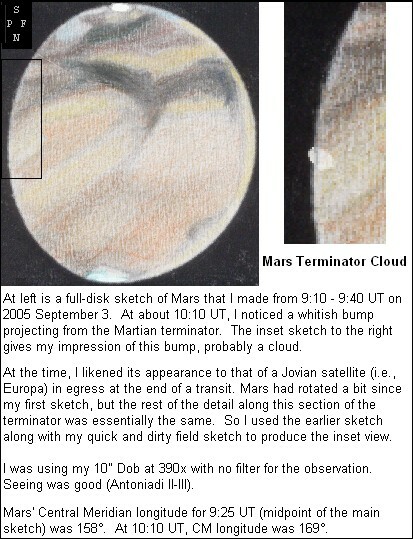 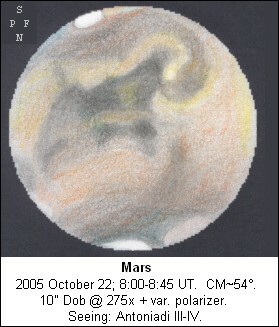 Accompanying observing notes can often be found in my Online Observing Log or archives. 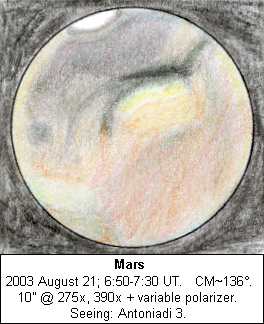 Some of the sketches are pretty rough; others I'm pretty proud of. 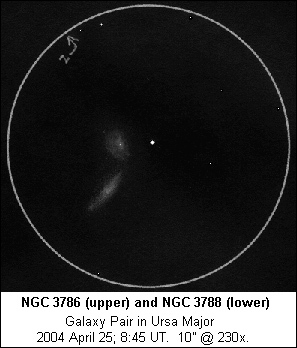 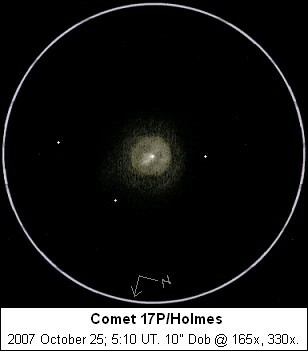 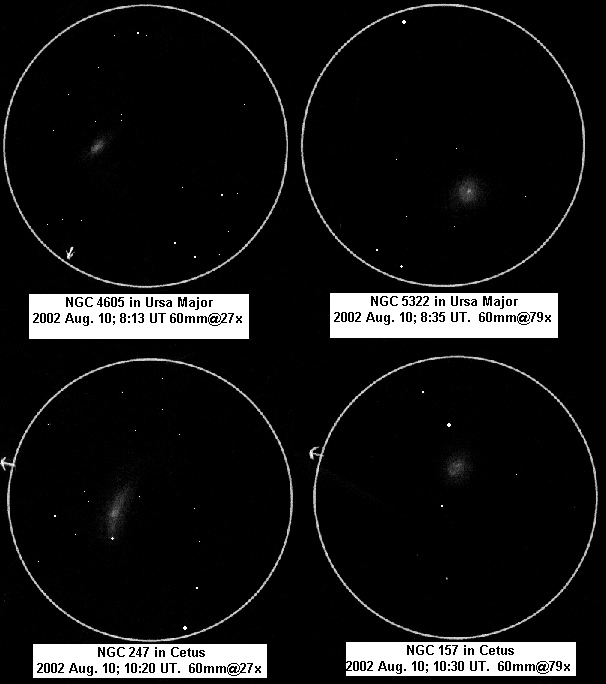 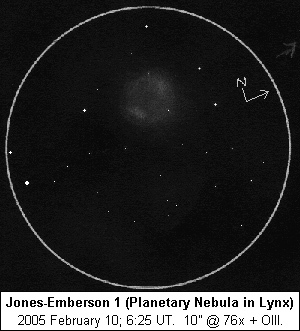 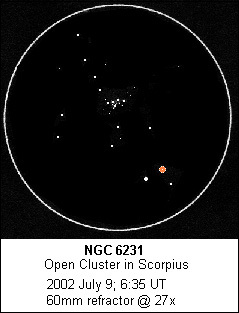 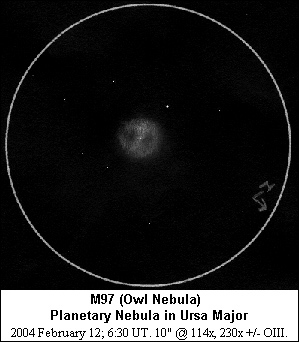 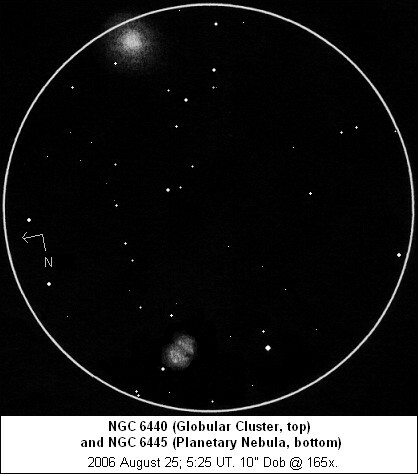 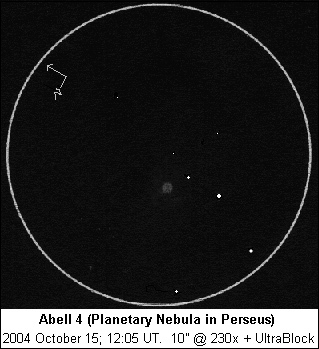 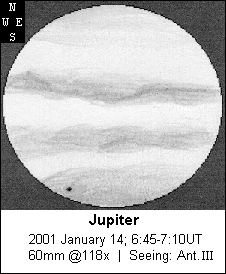 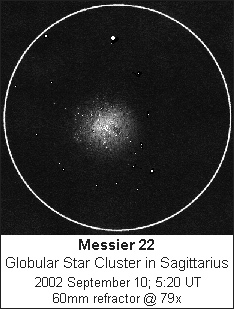 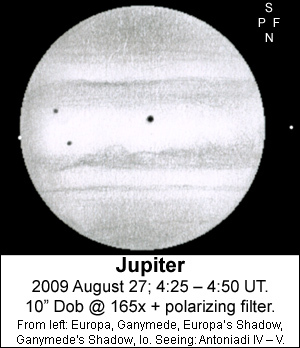 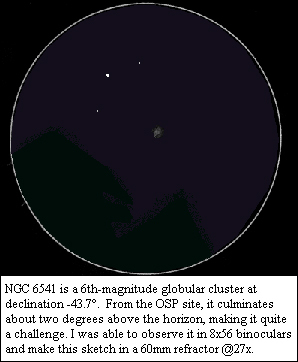 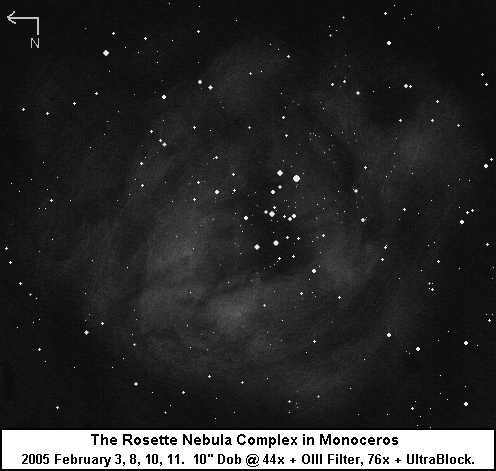 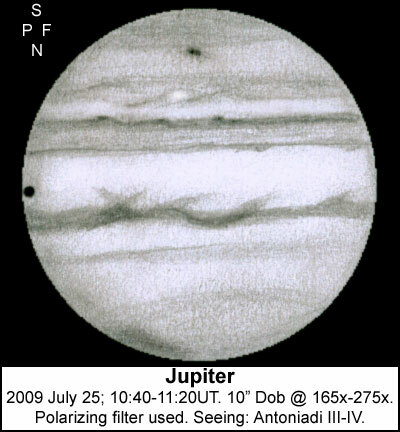 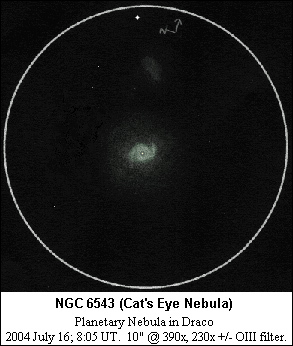 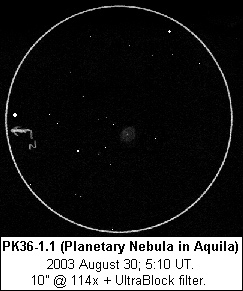 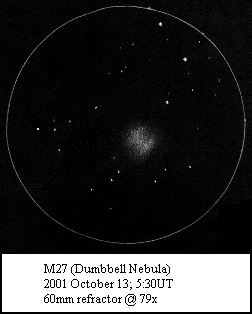 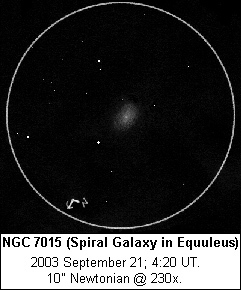 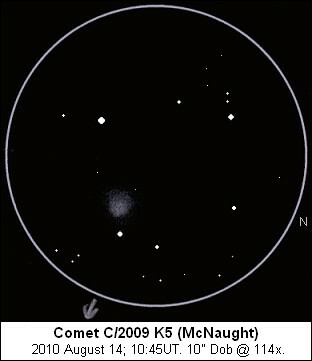 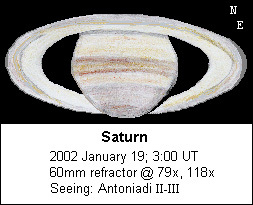 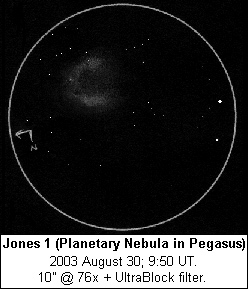 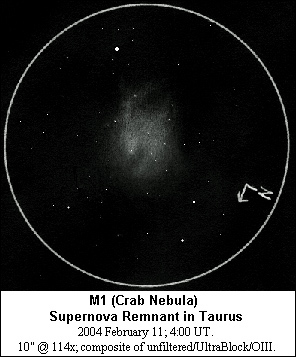 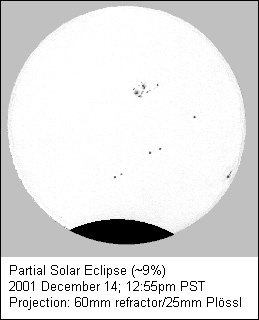 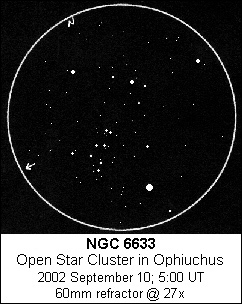 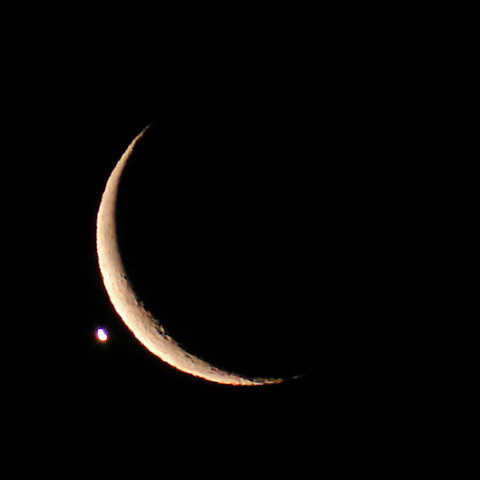 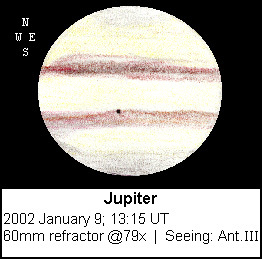 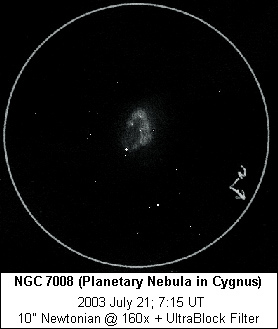 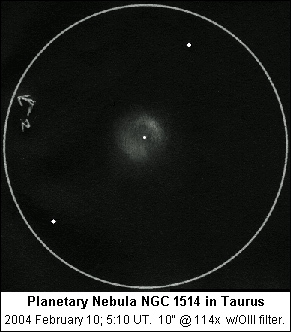 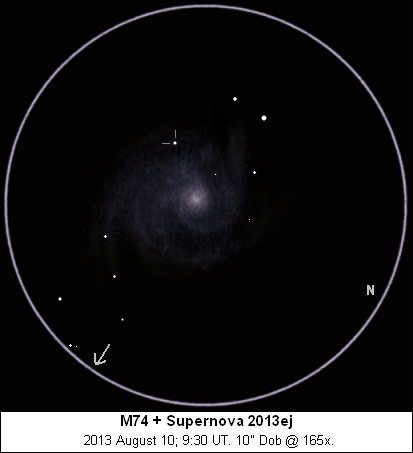 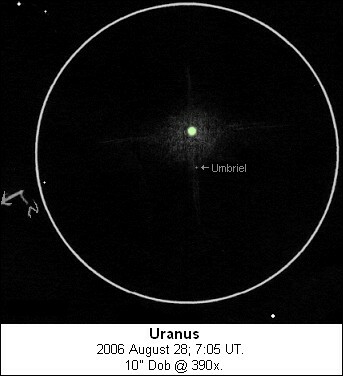 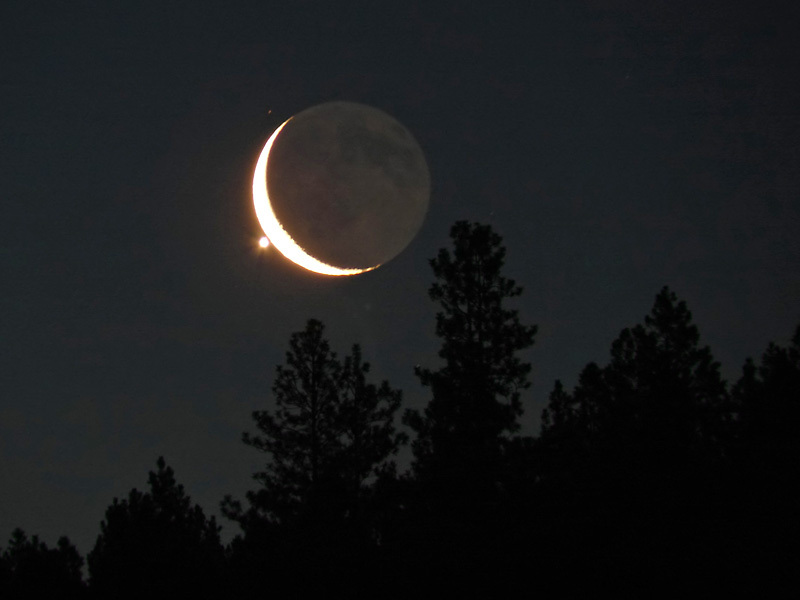 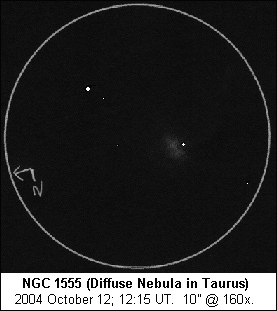 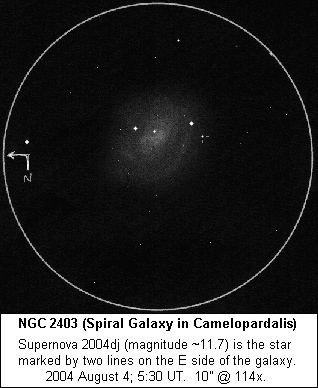 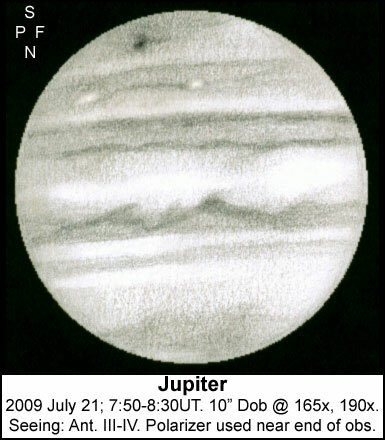 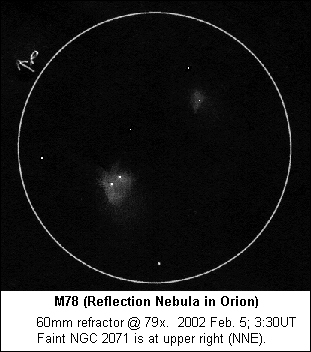 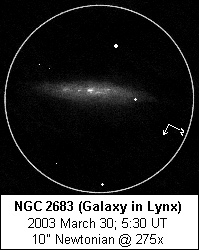 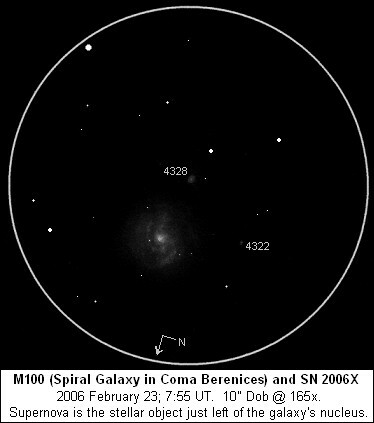 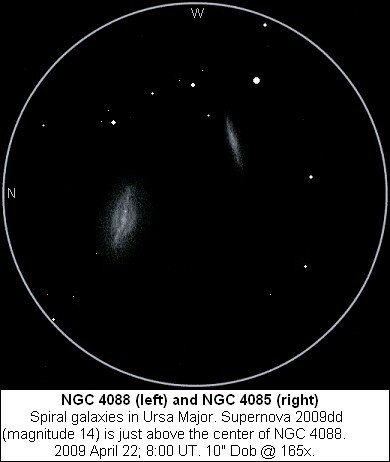 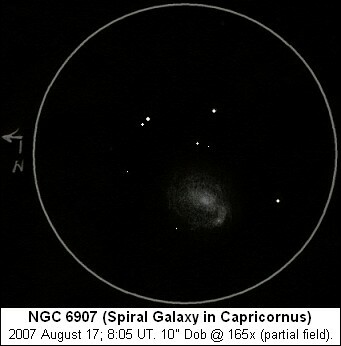 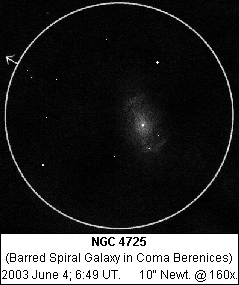 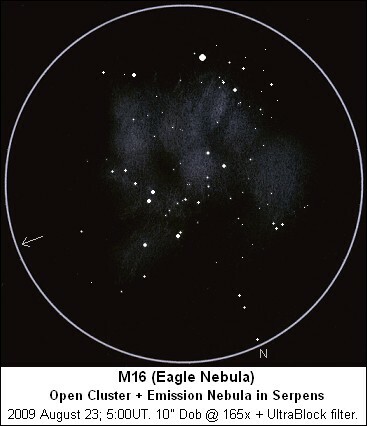 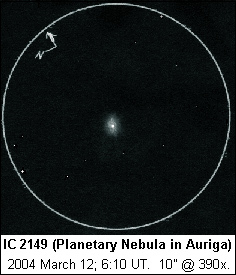 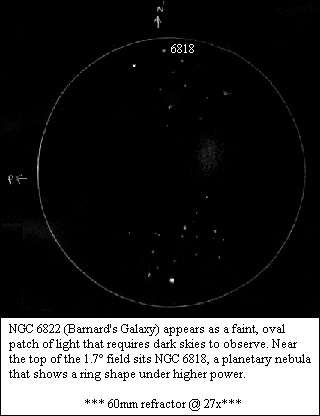 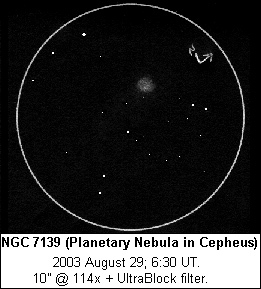 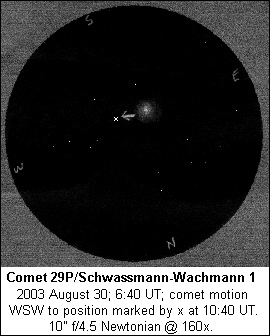 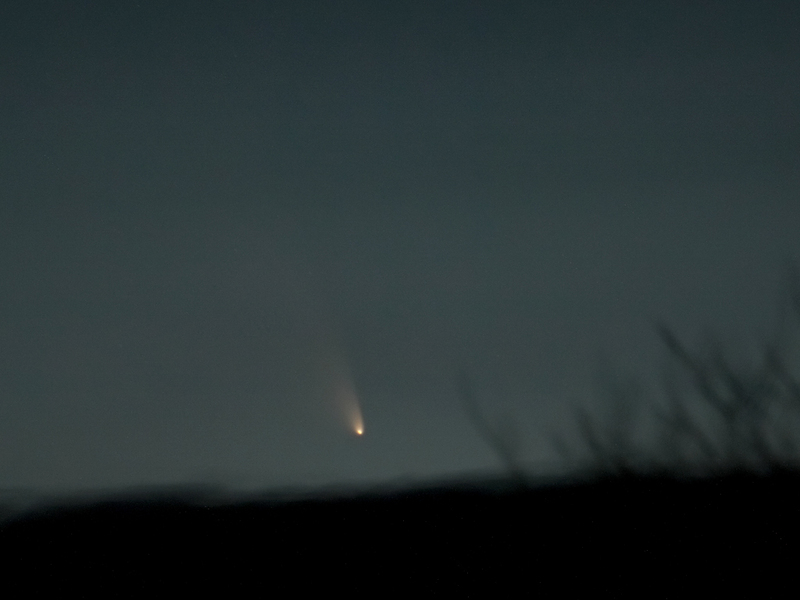 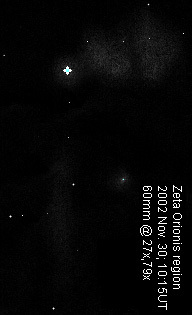 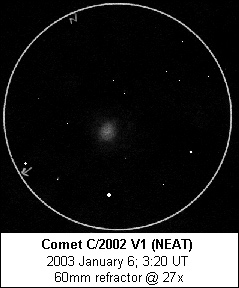 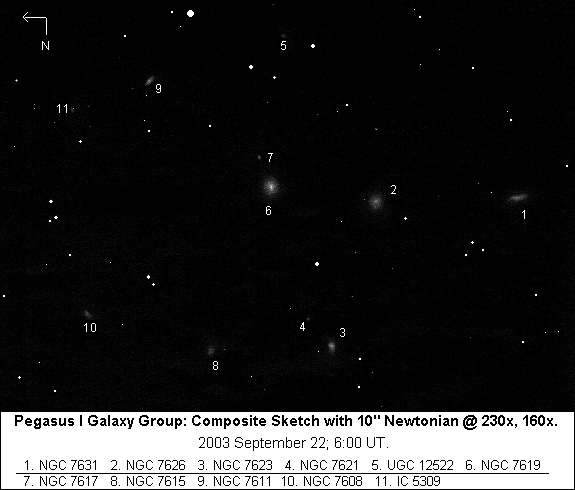 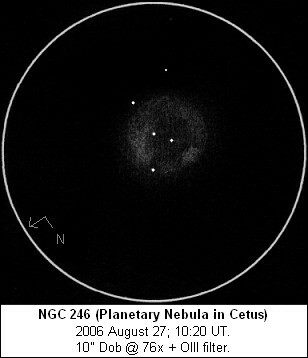 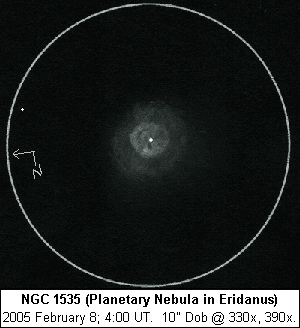 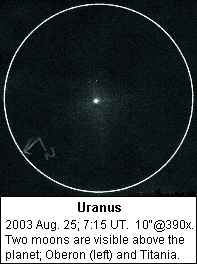 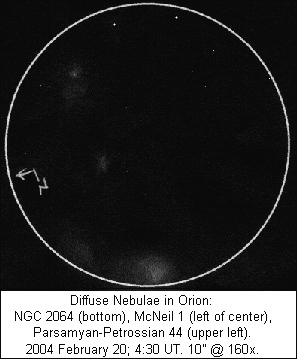 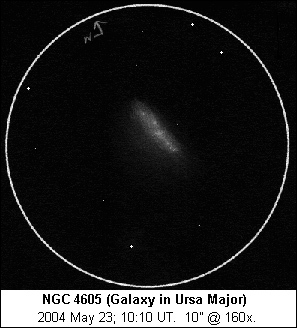 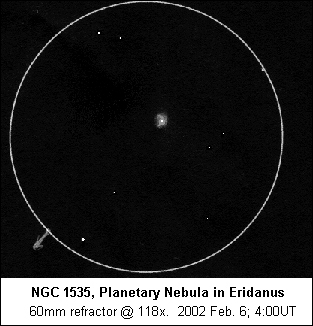 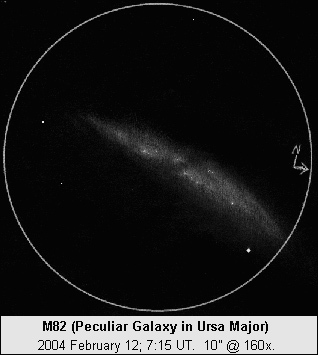 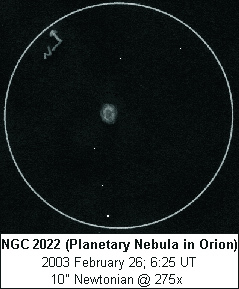 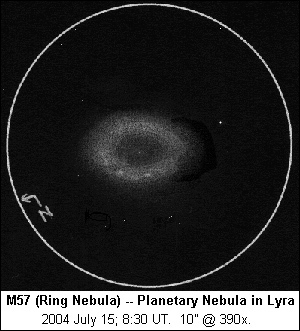 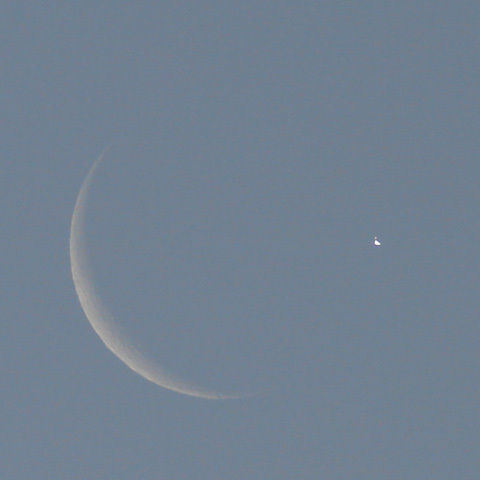 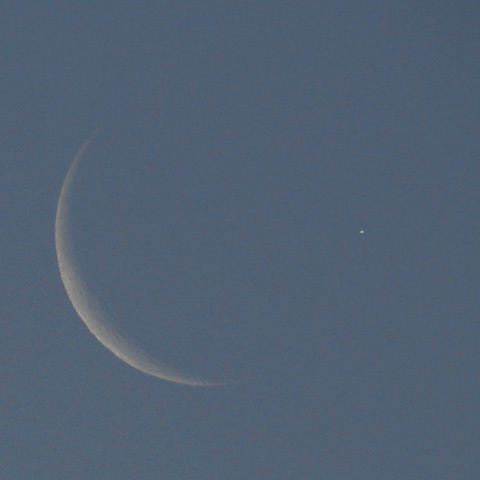 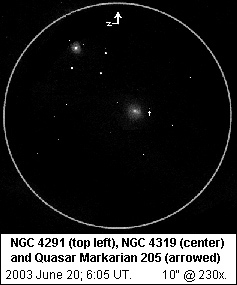 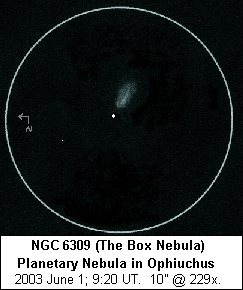 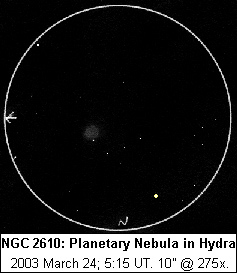 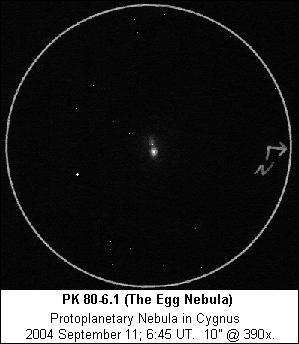 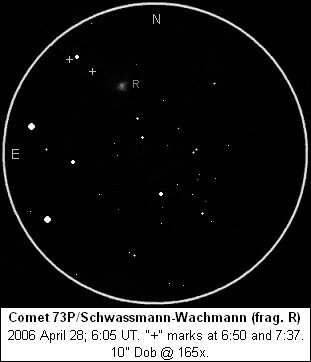 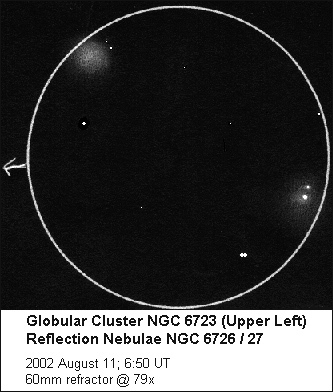 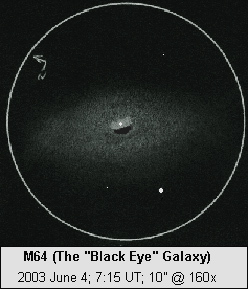 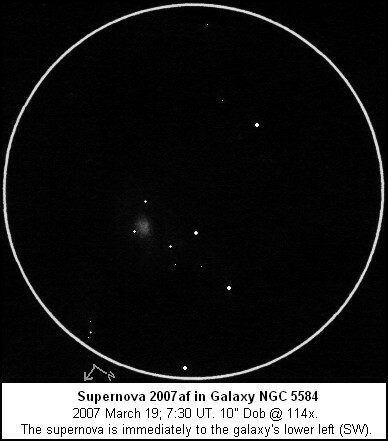 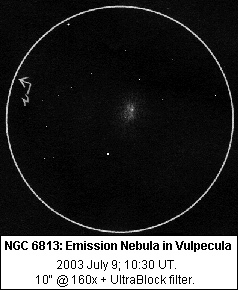 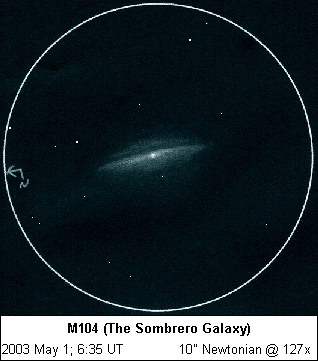 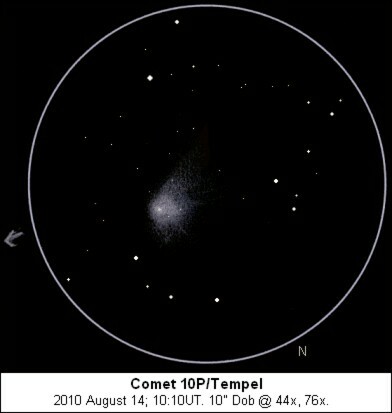 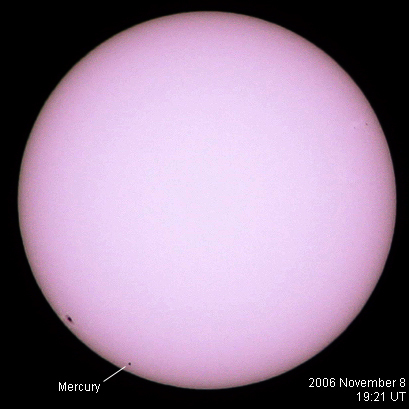 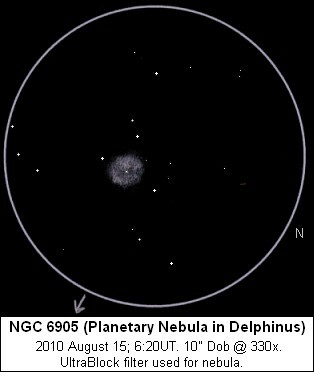 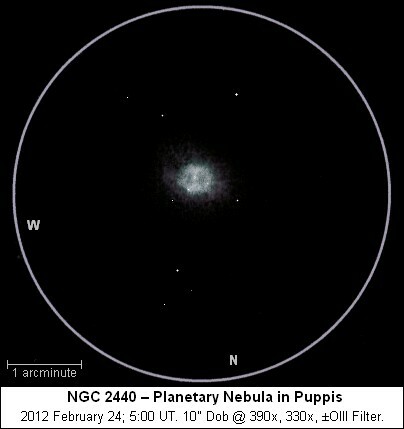 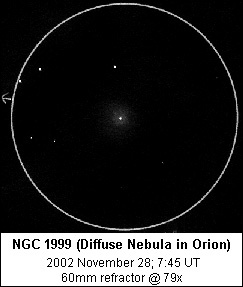 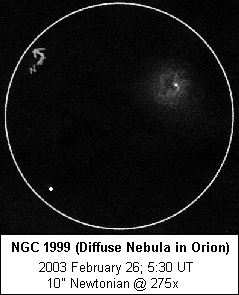 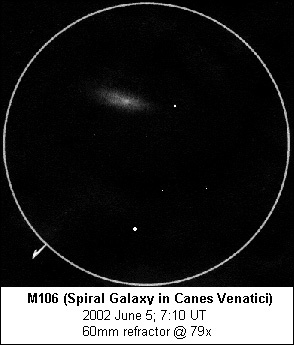 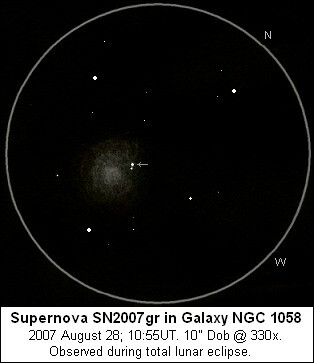 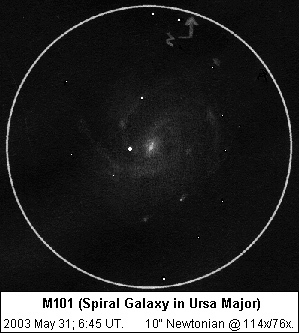 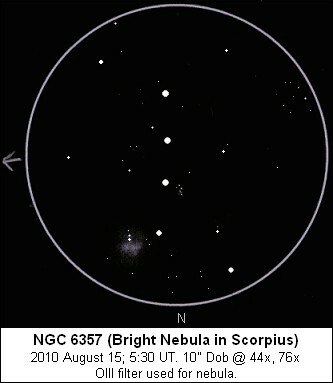 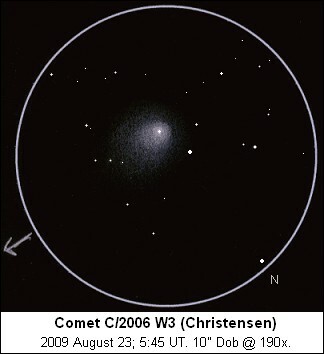 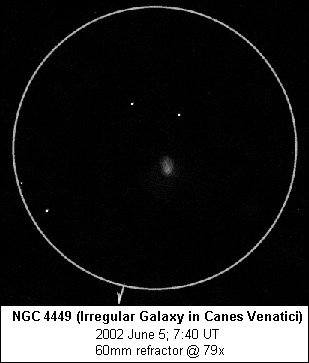 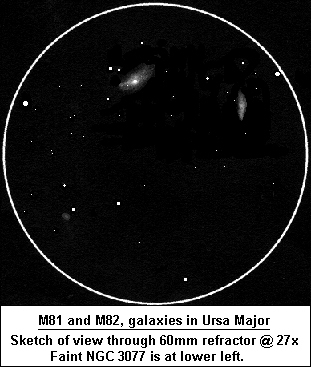 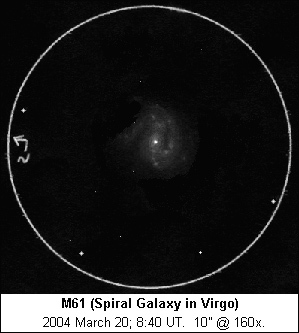 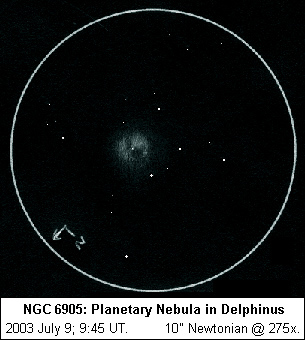 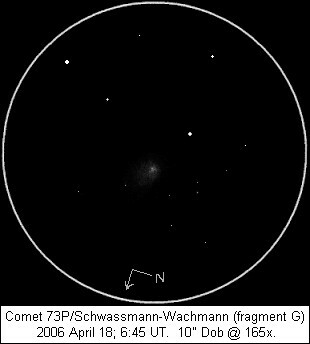 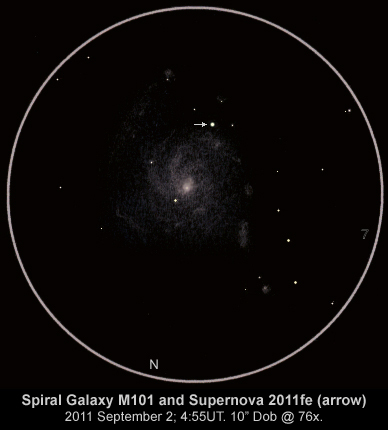 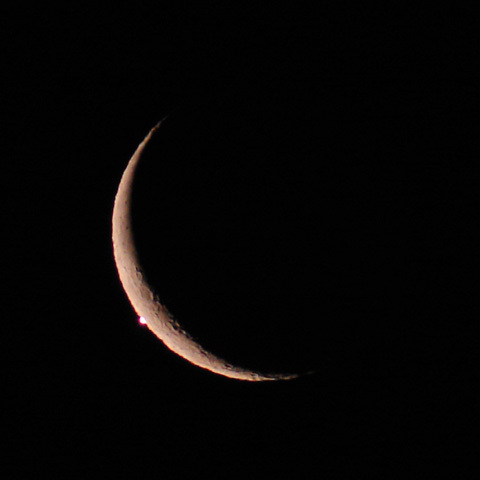 Many of the early ones were made with my 60mm refractor, the "Scope of Death". 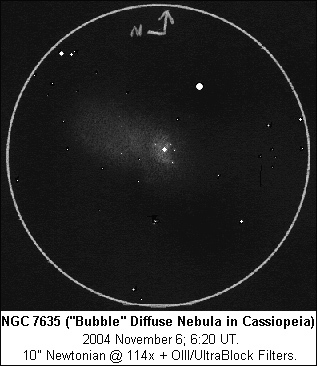 Since 2003, I've used a 10" Dob for most telescopic work. 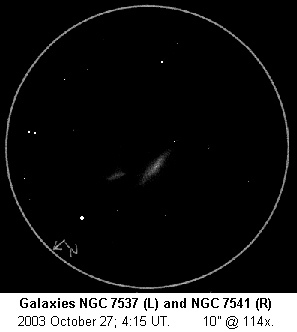 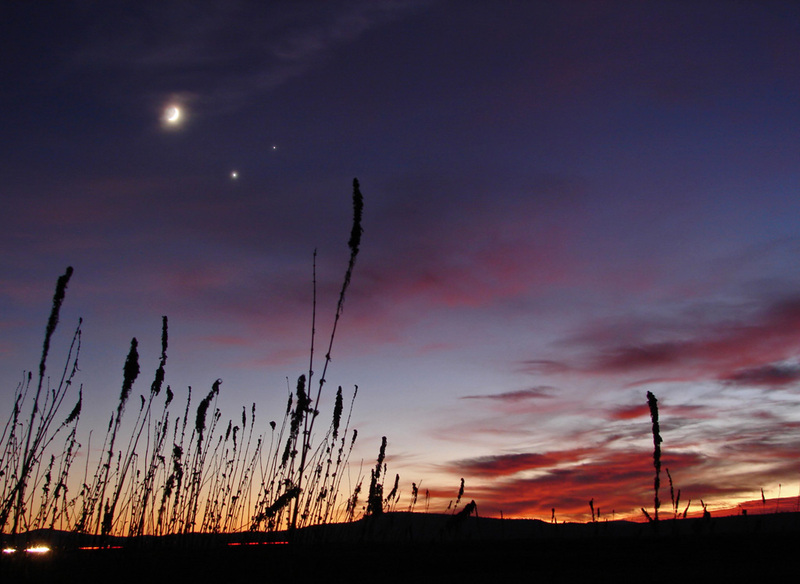 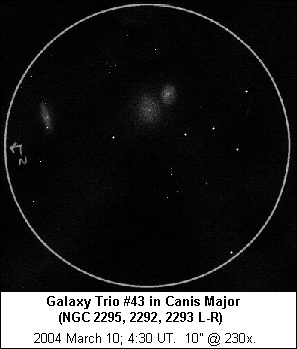 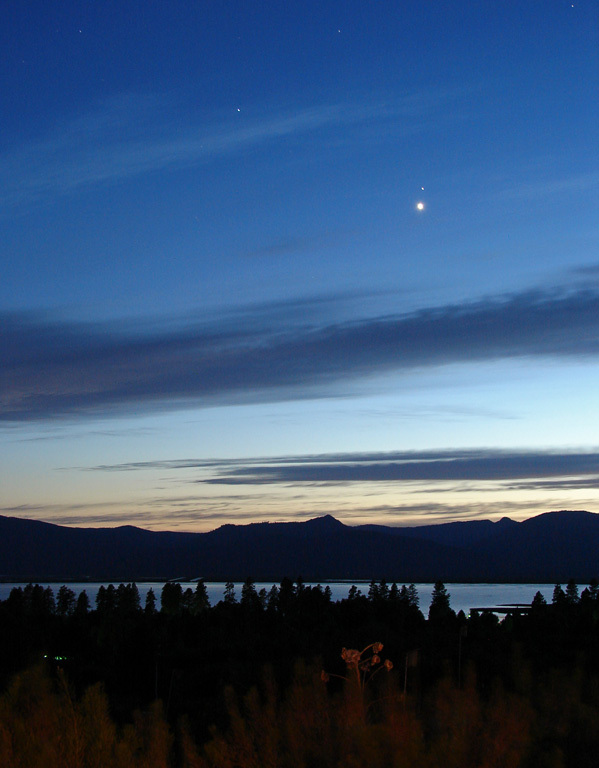 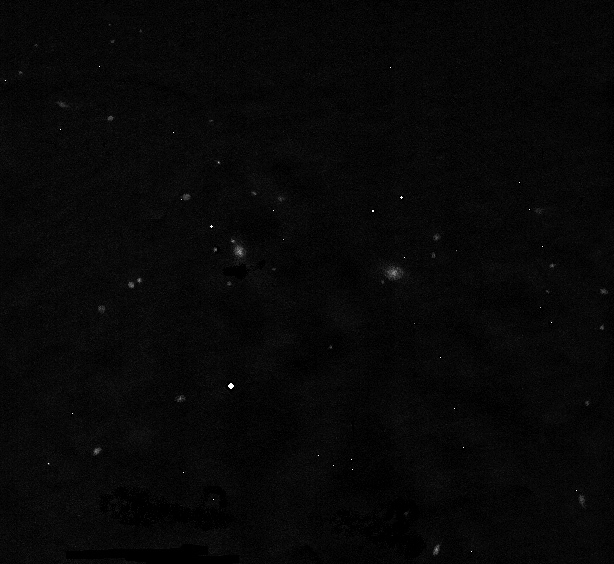 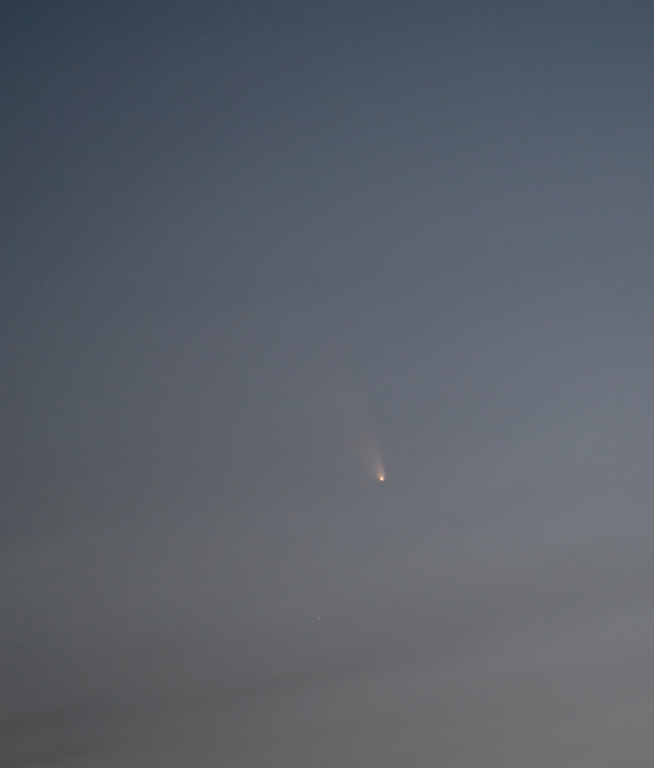 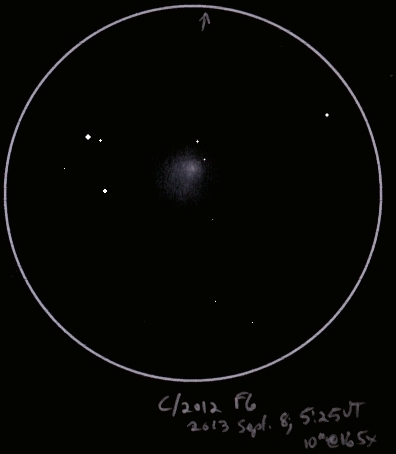 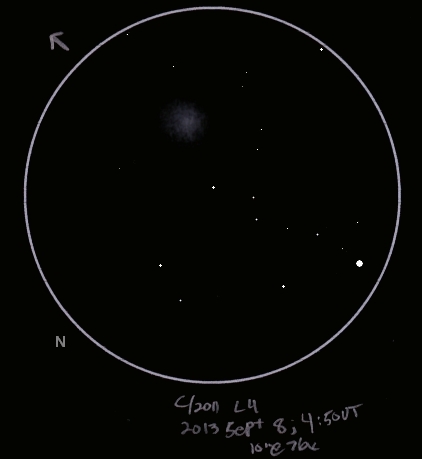 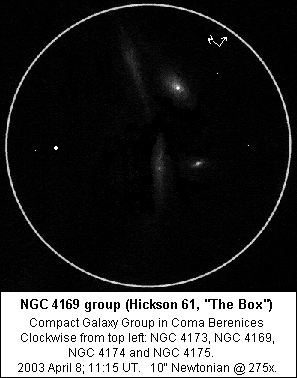 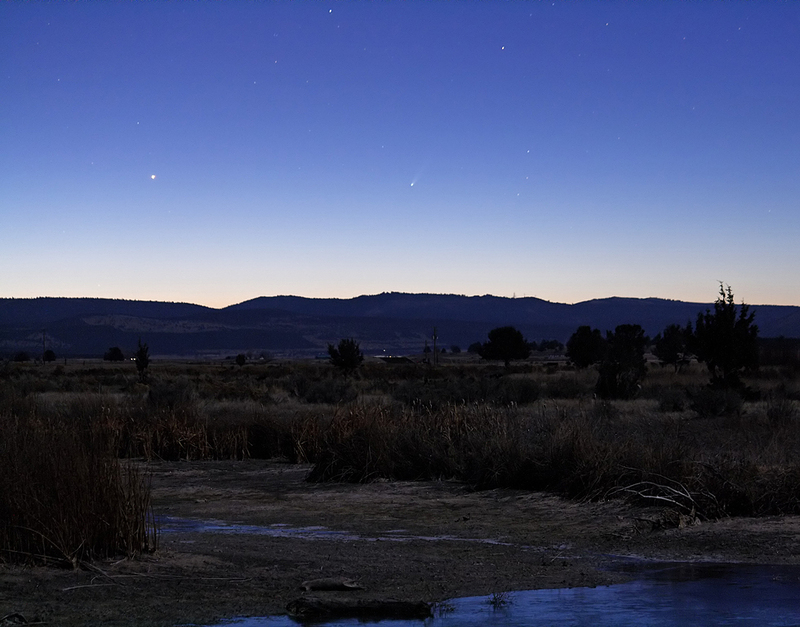 Deep-sky sketches may require adjustment of your monitor settings to gain the correct perspective of gray on black. 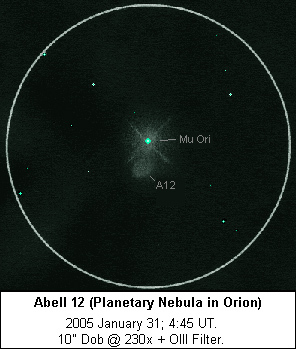 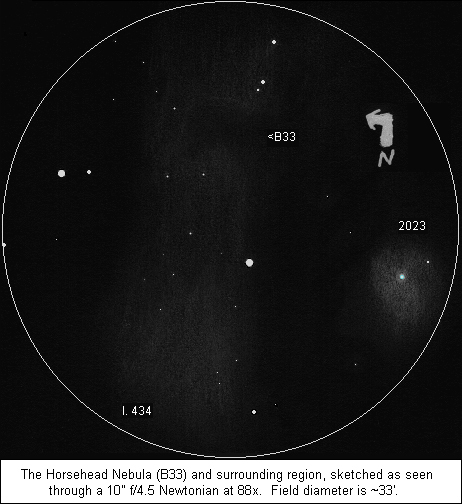 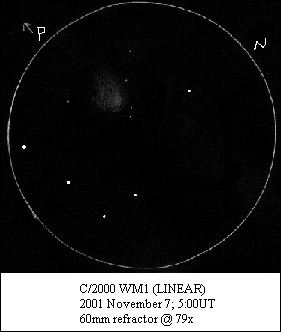 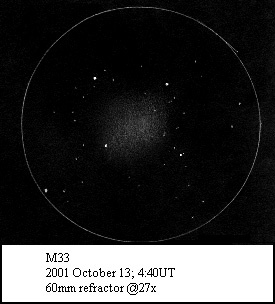 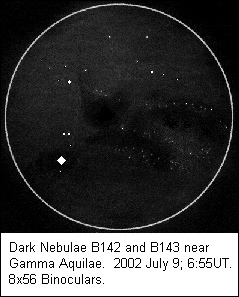 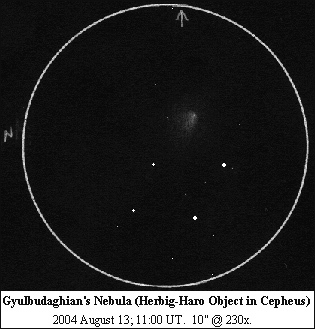 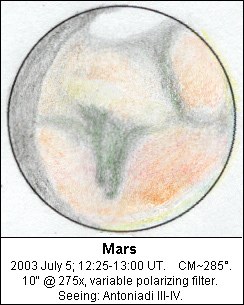 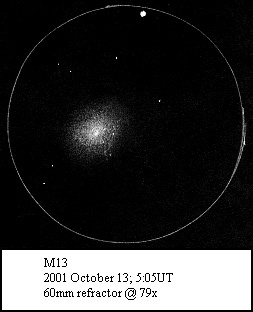 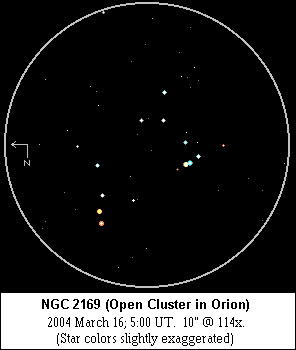 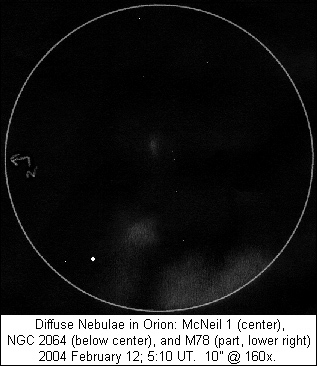 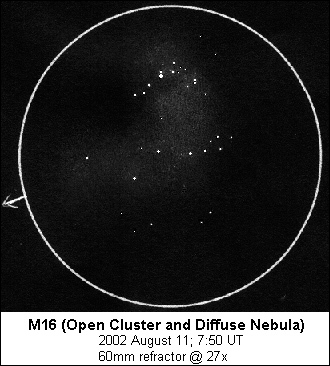 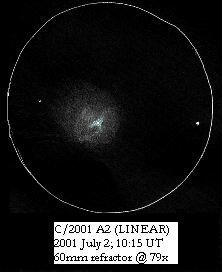 Hale-Bopp (C/1995 O1) Many sketches here. 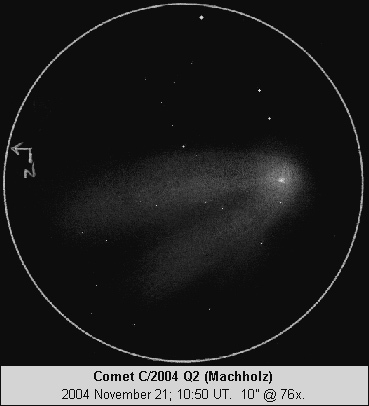 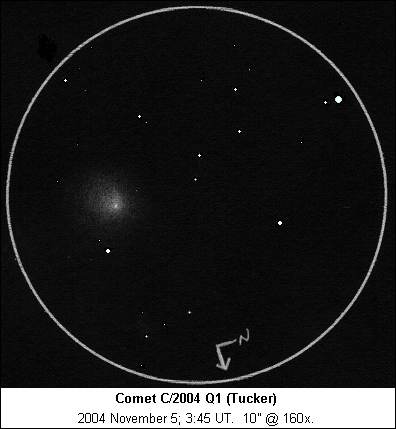 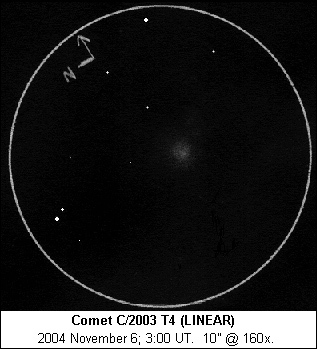 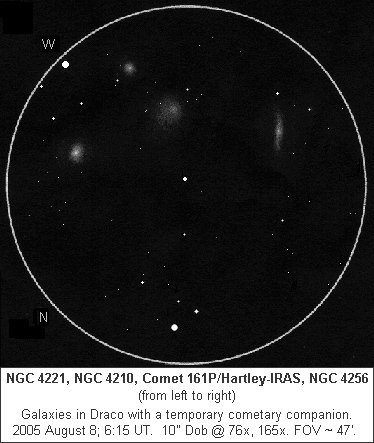 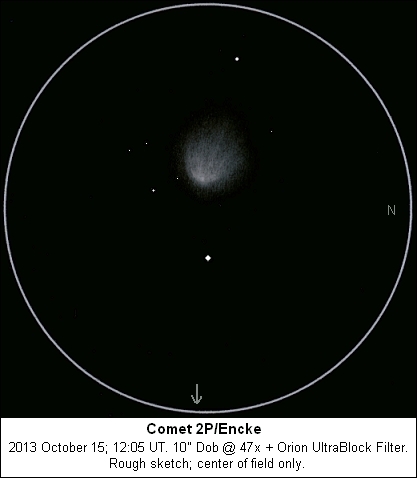 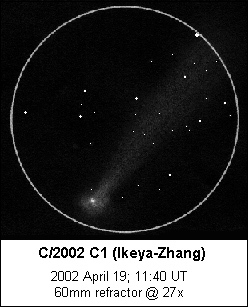 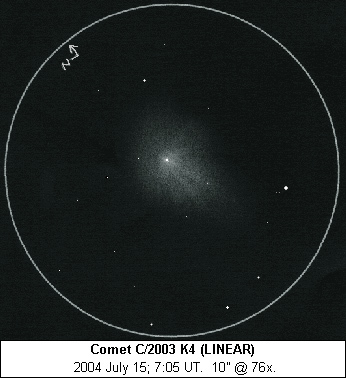 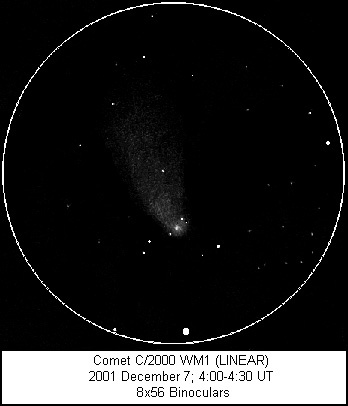 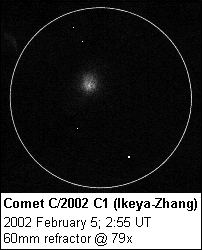 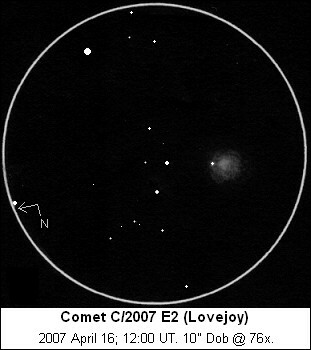 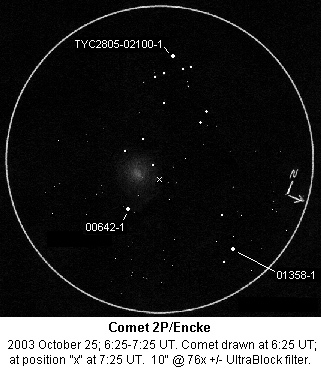 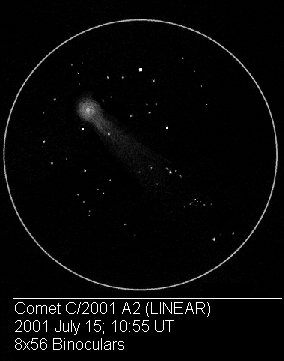 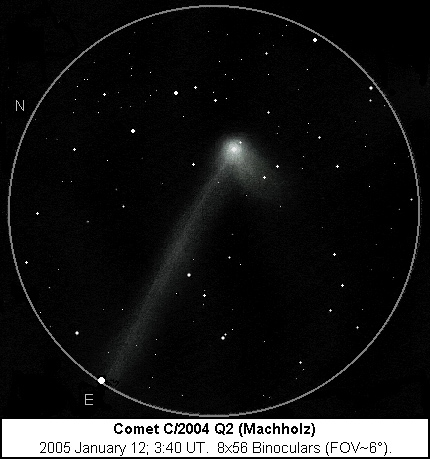 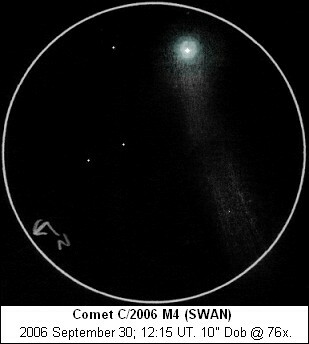 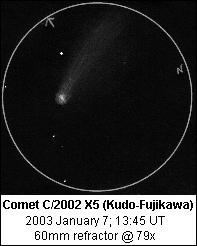 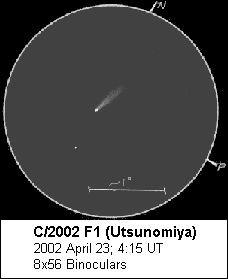 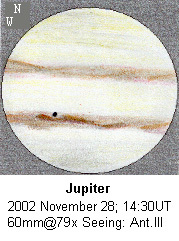 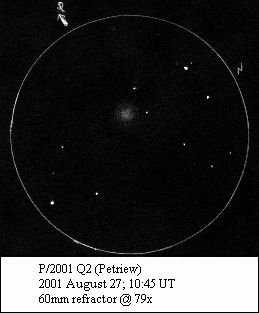 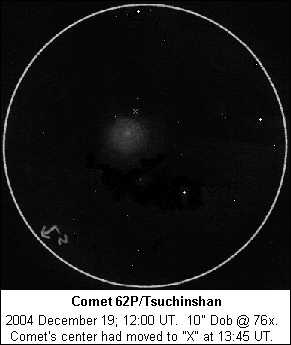 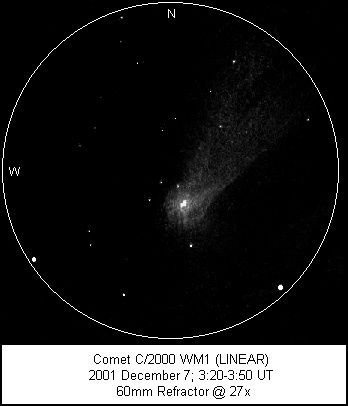 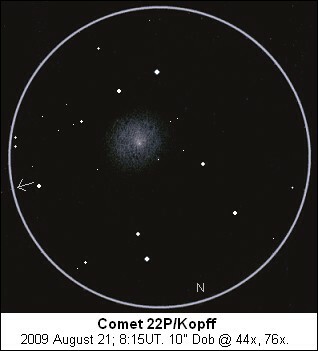 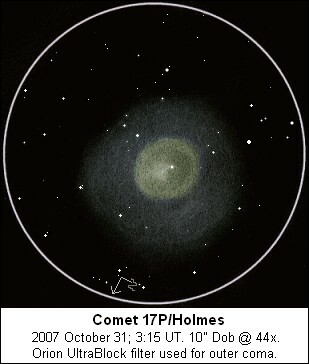 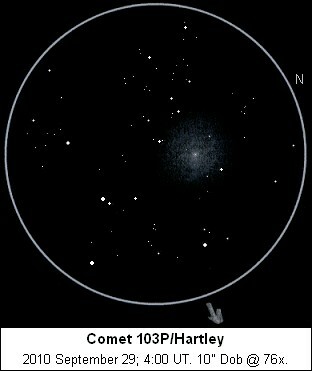 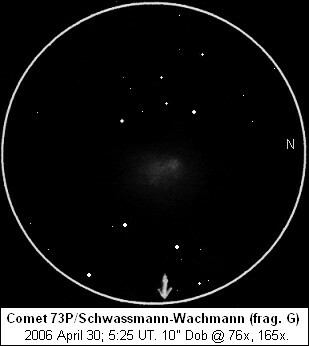 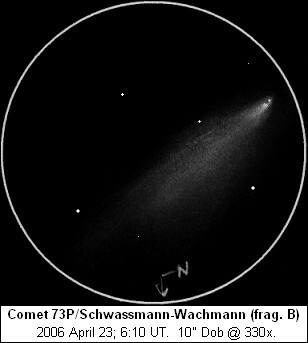 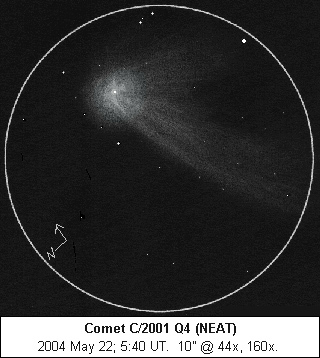 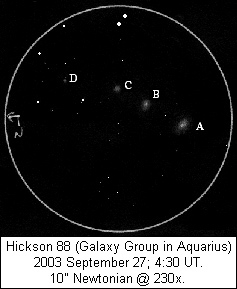 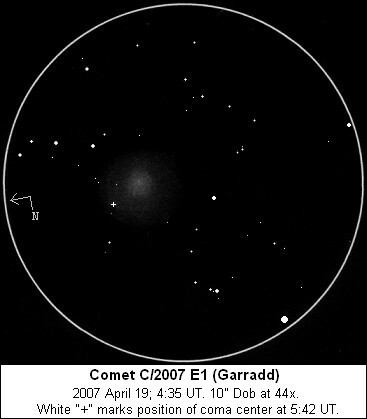 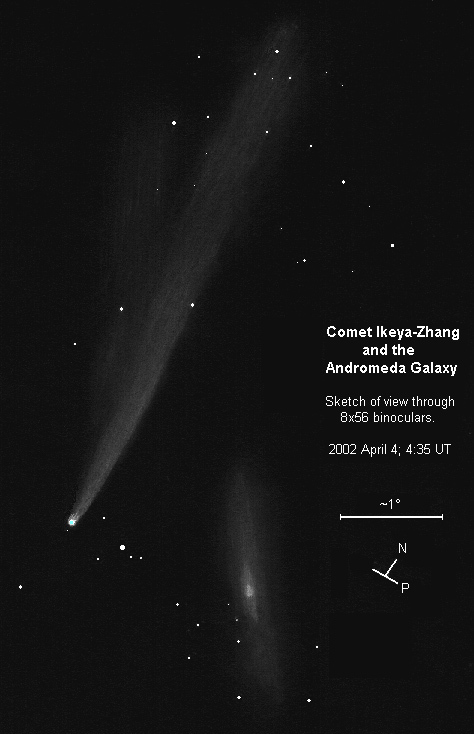 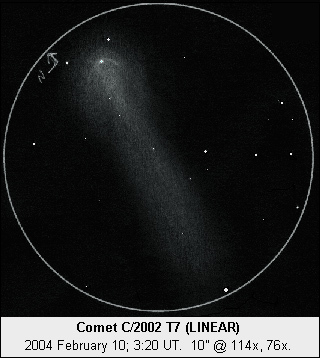 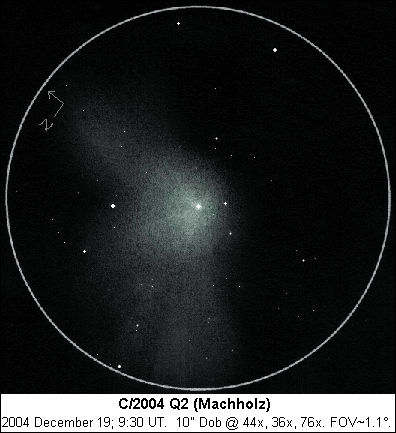 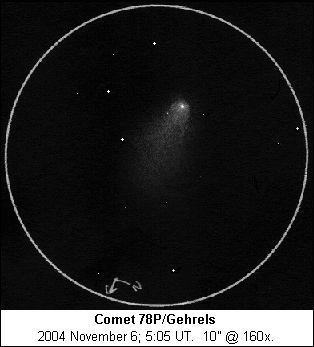 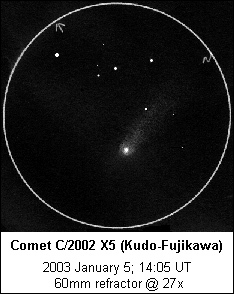 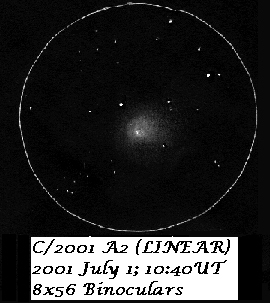 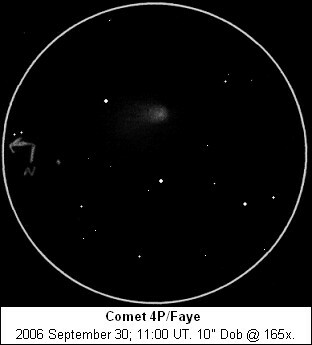 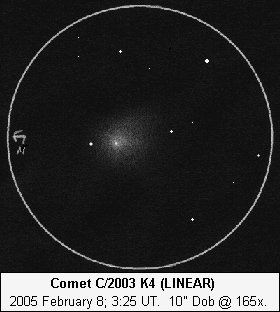 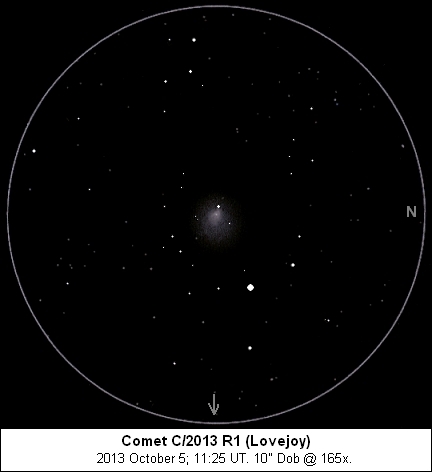 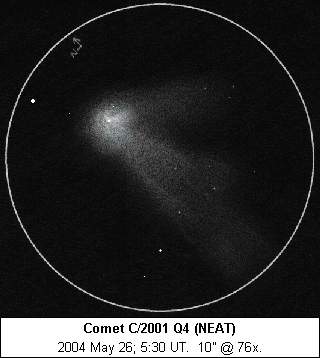 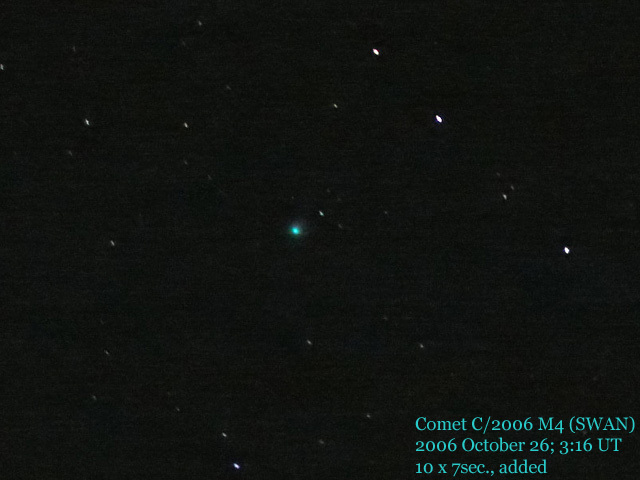 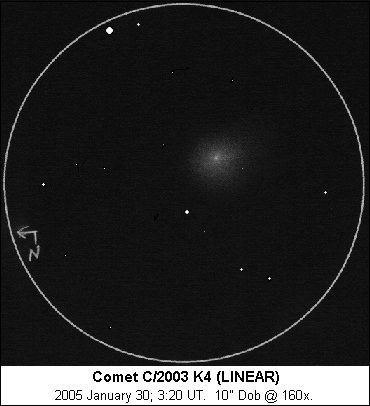 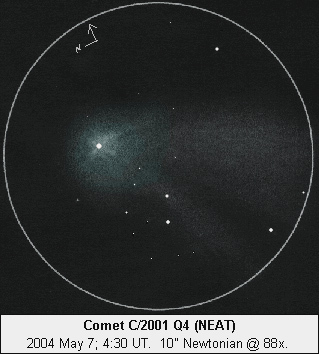 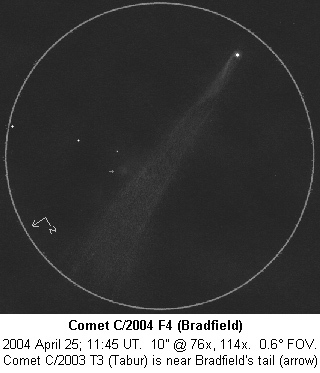 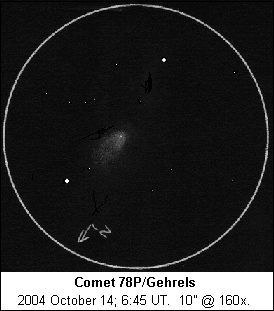 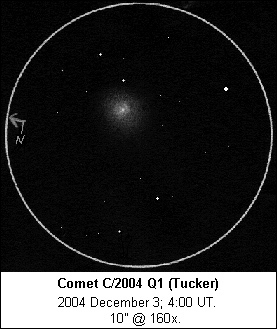 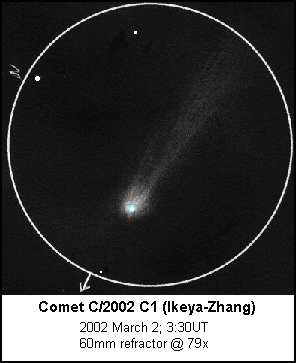 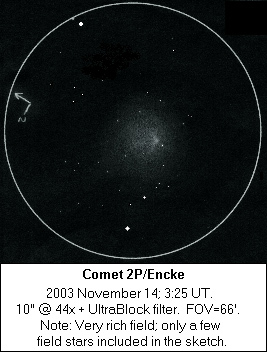 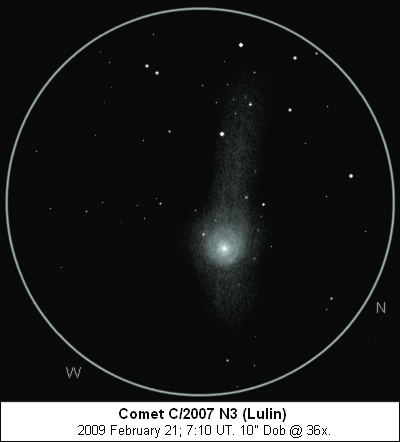 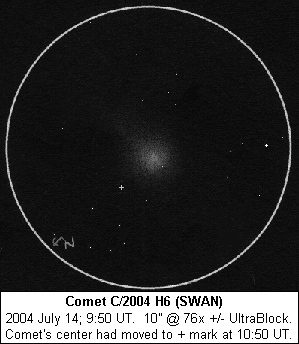 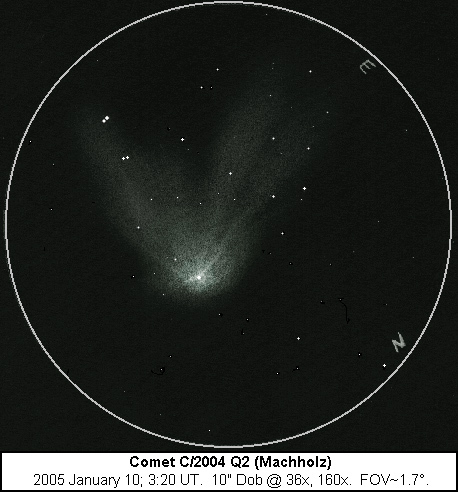 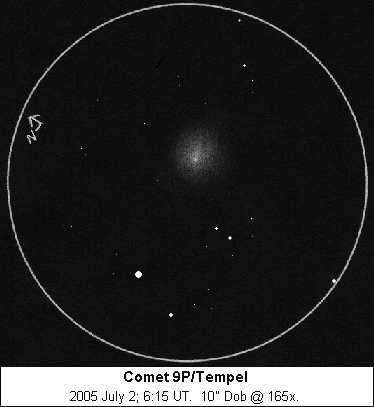 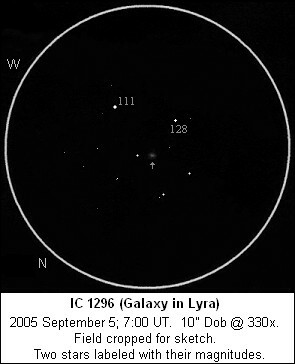 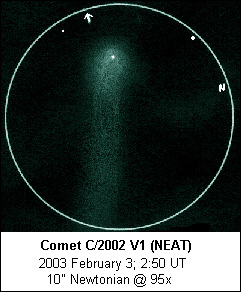 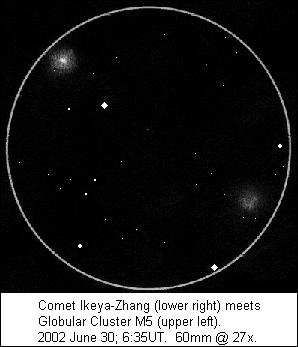 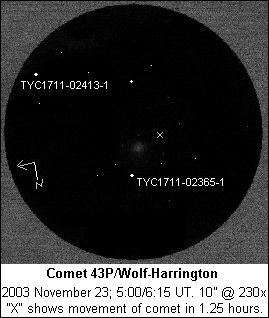 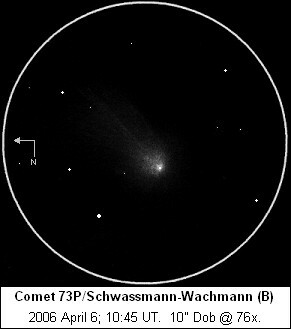 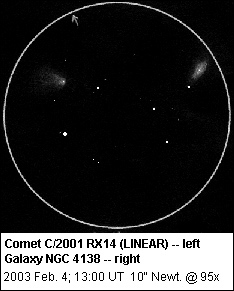 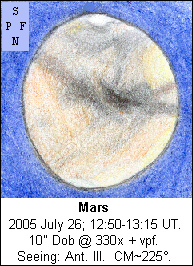 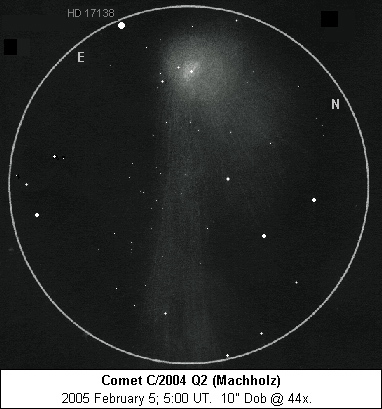 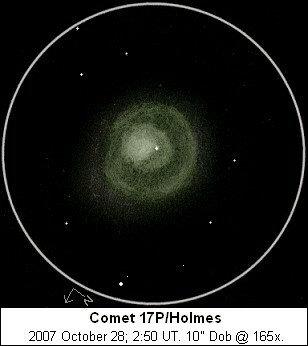 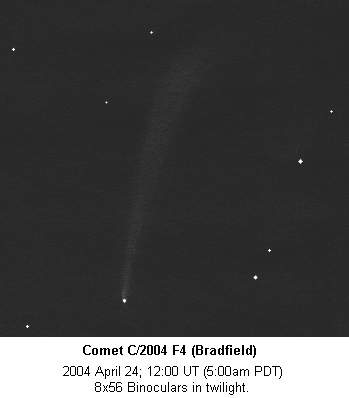 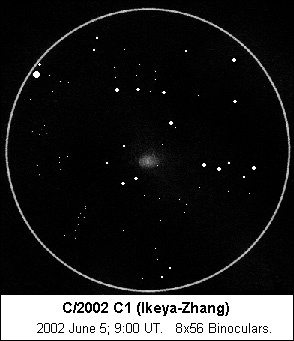 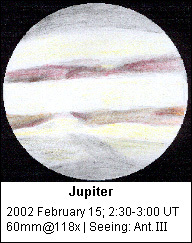 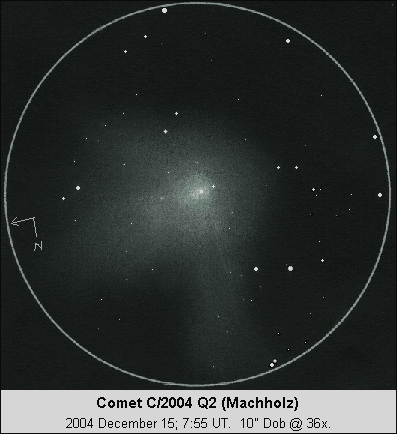 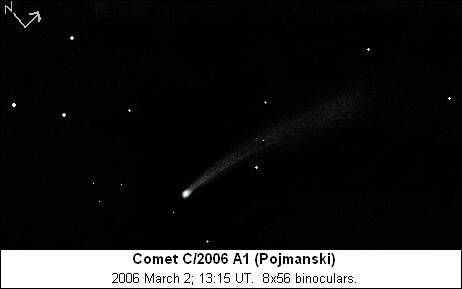 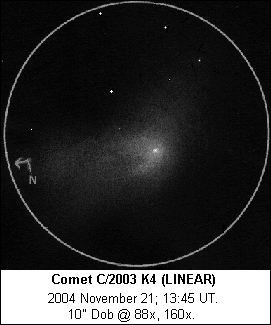 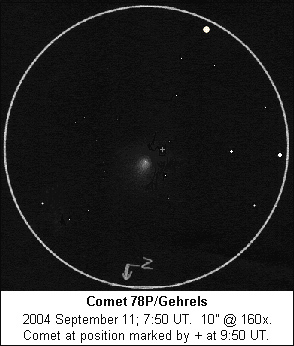 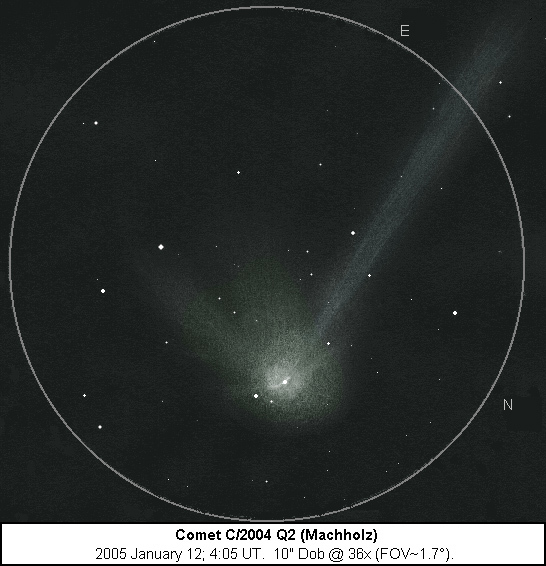 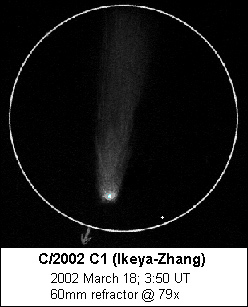 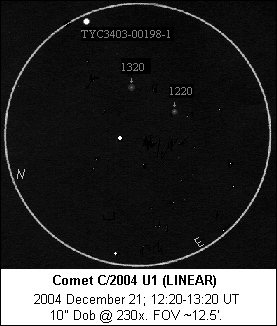 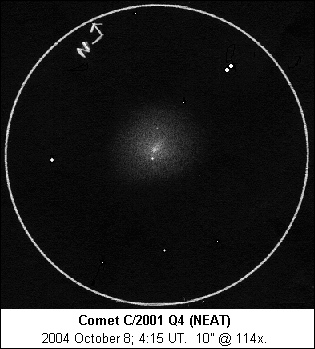 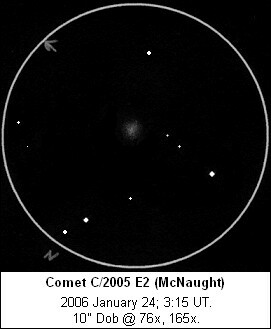 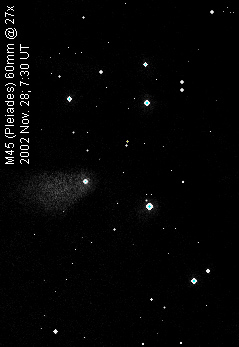 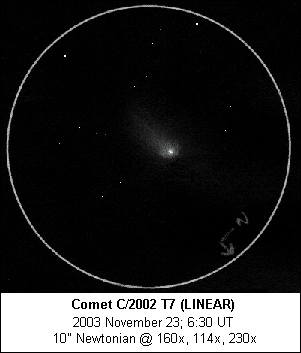 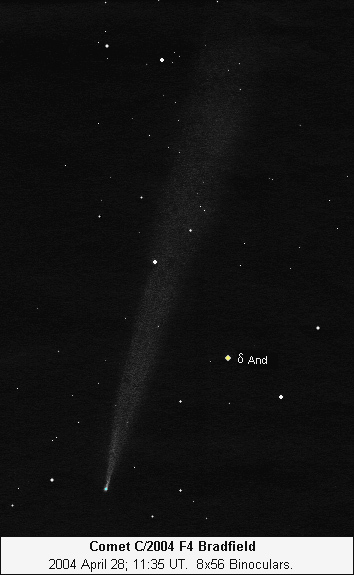 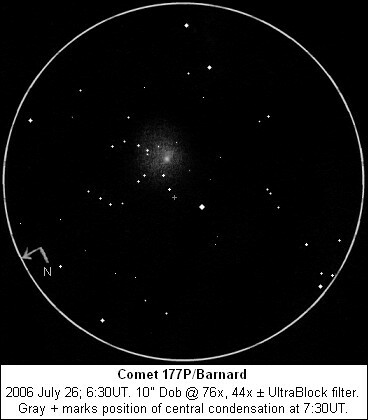 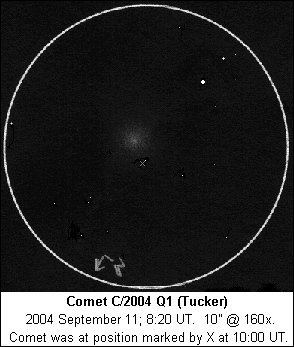 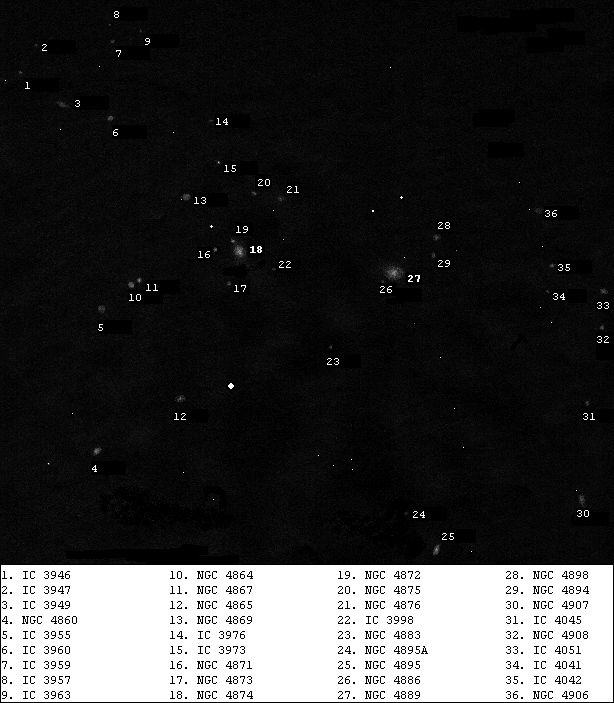 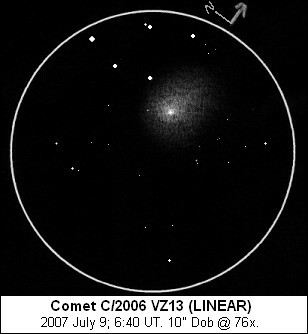 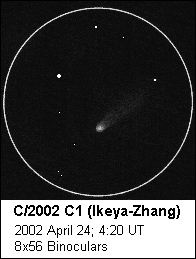 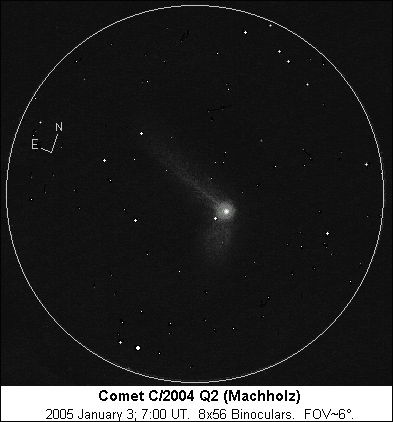 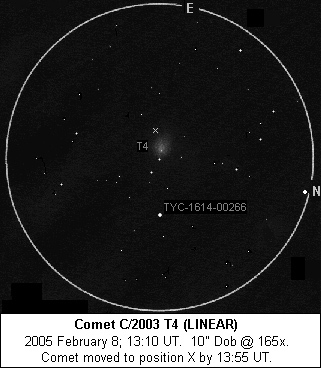 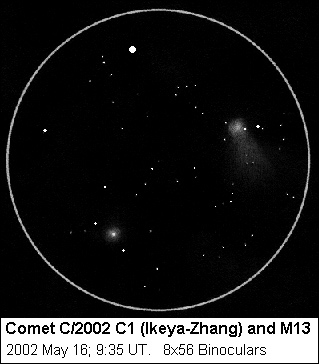 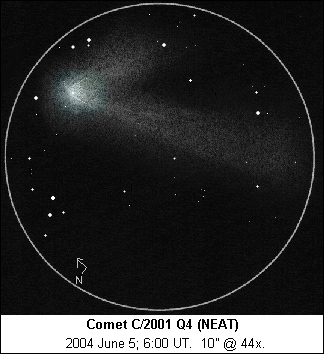 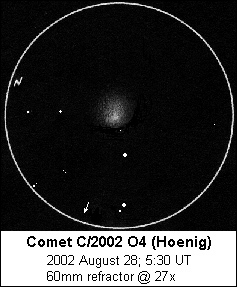 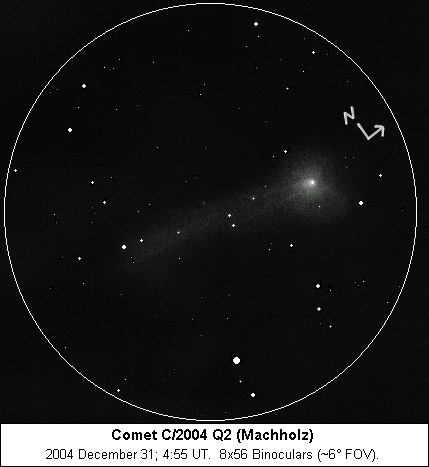 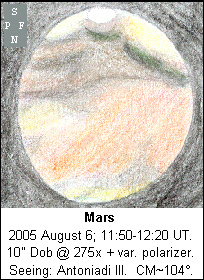 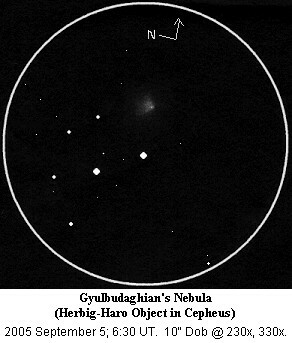 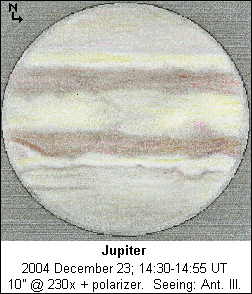 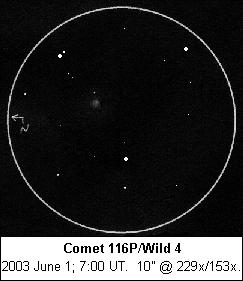 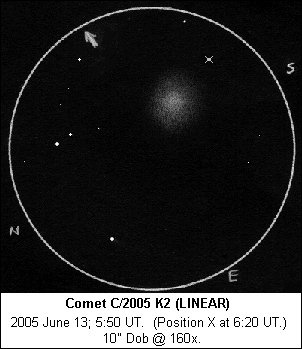 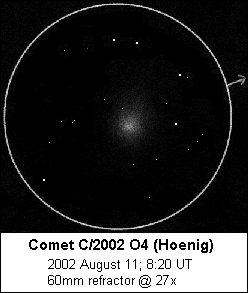 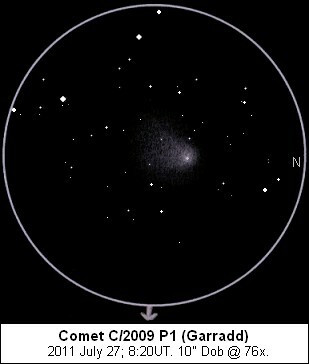 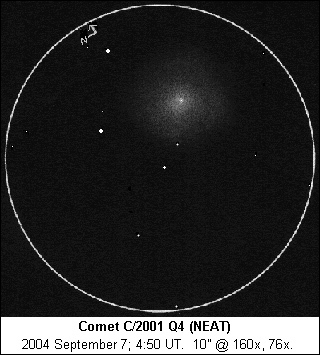 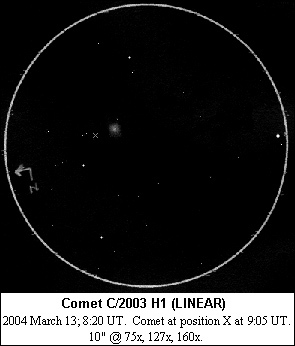 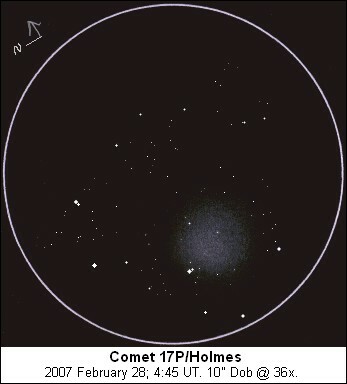 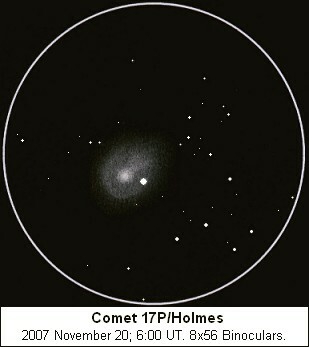 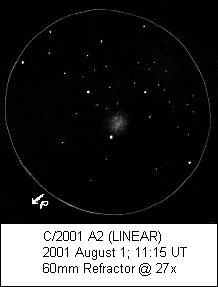 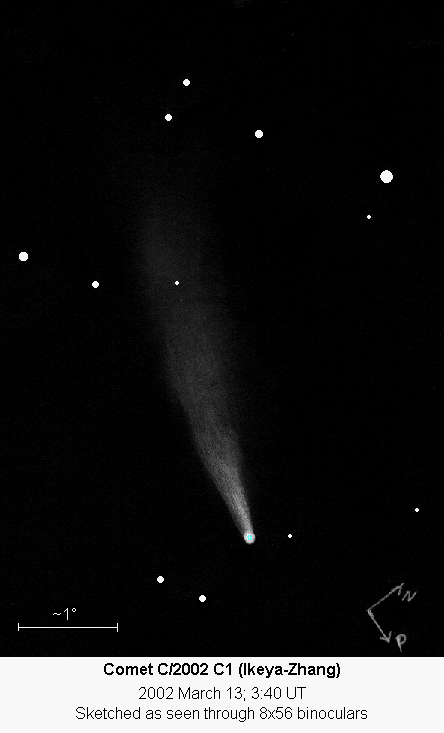 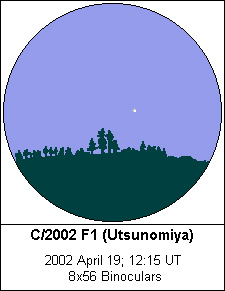 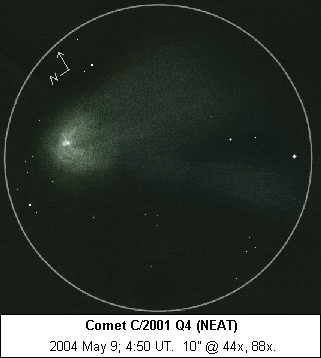 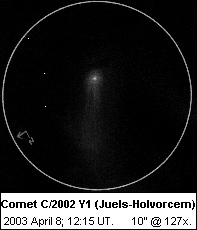 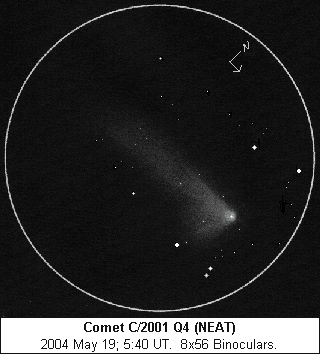 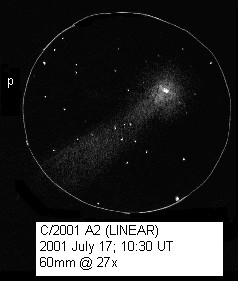 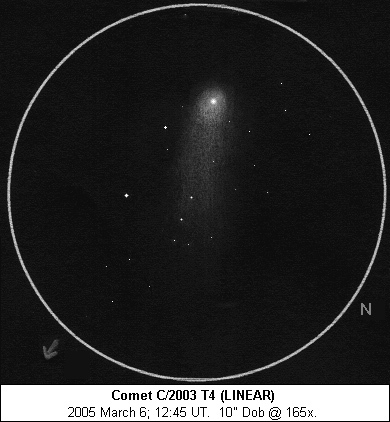 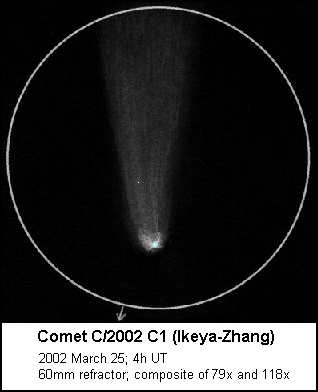 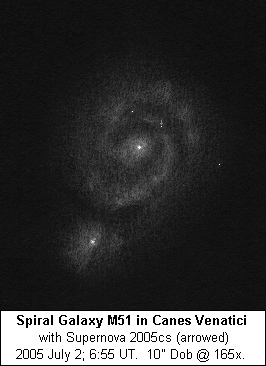 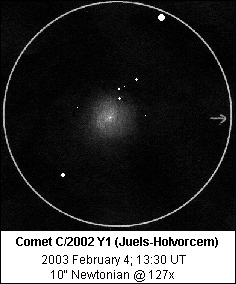 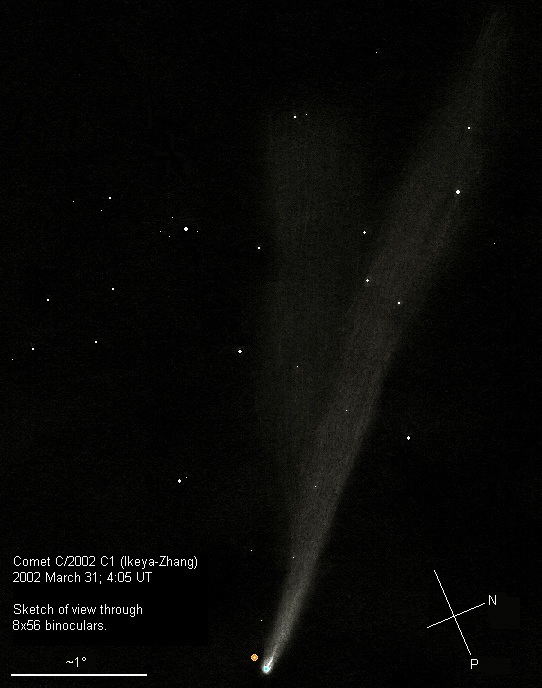 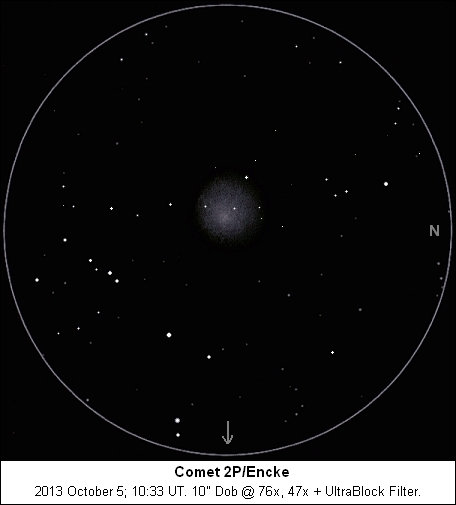 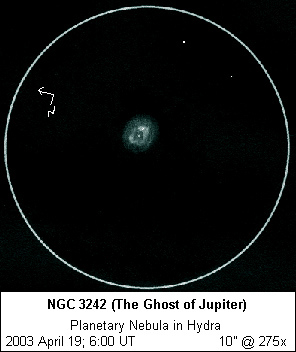 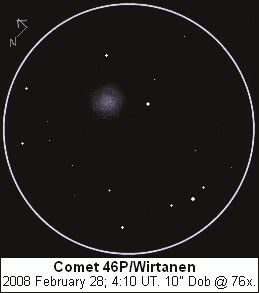 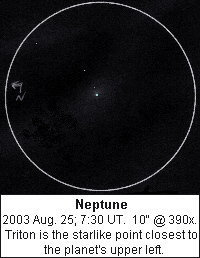 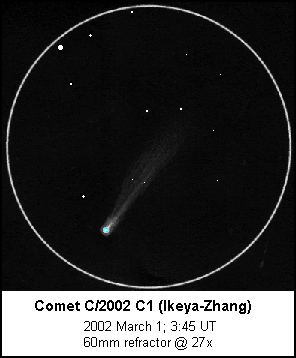 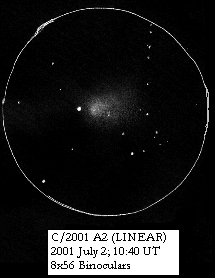 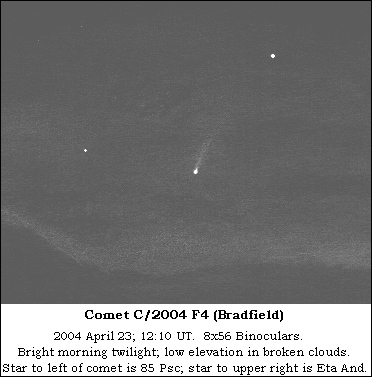 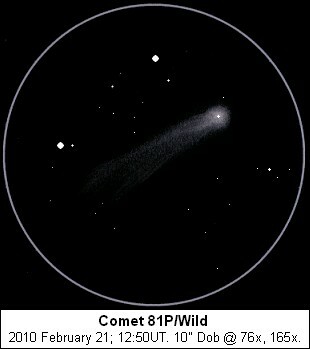 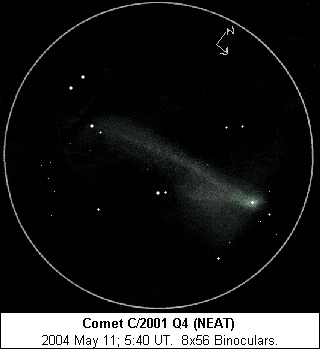 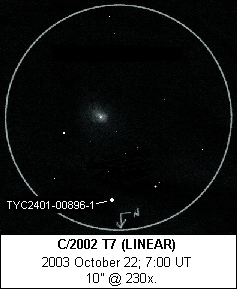 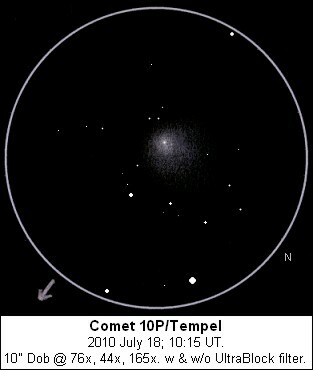 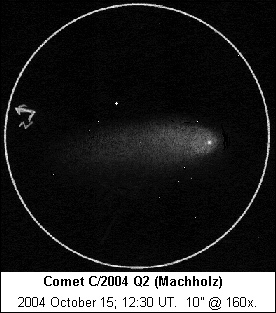 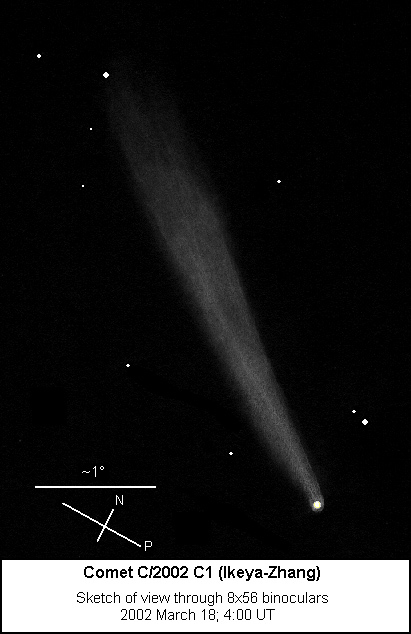 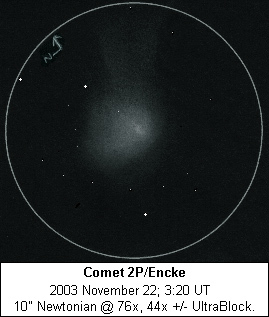 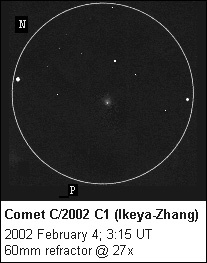 Hyakutake (C/1996 B2) Many sketches here.